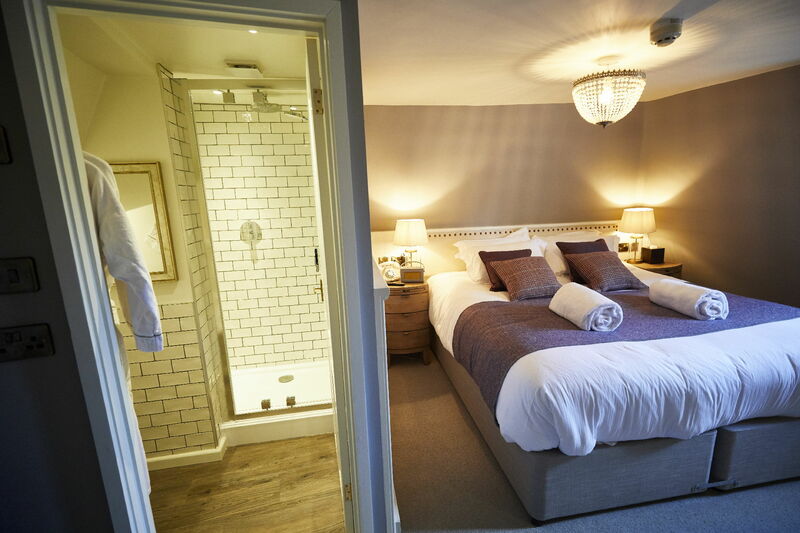 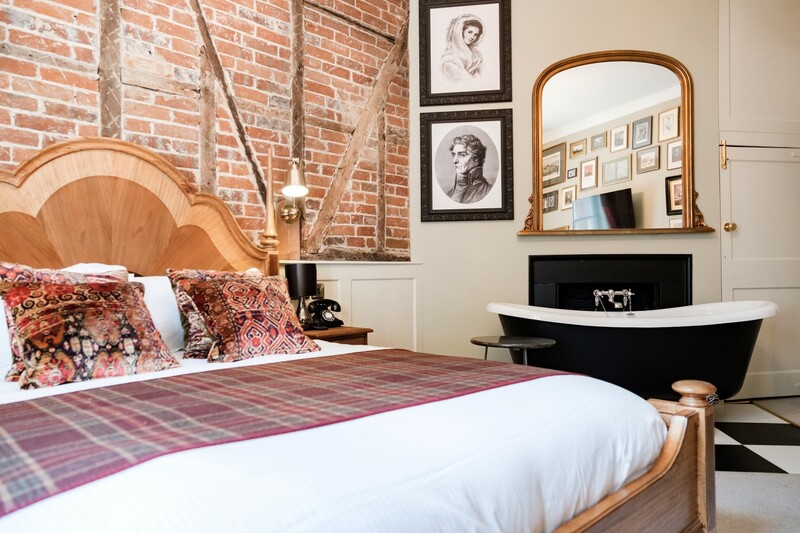 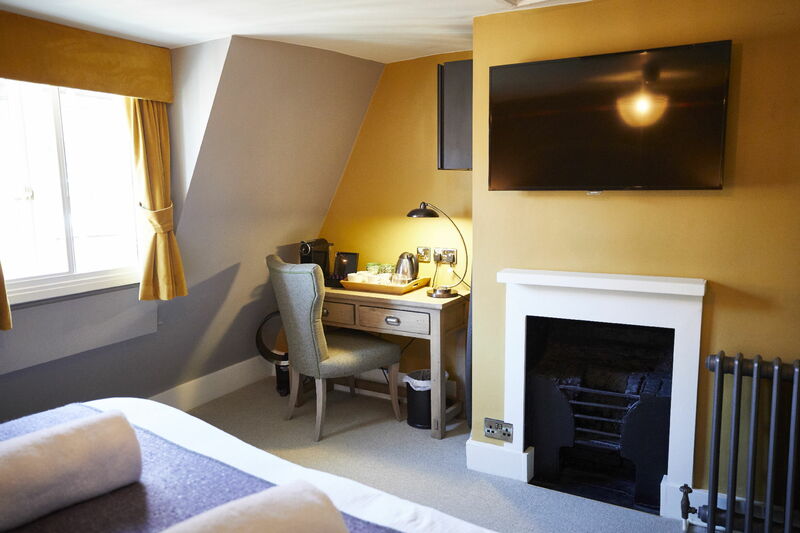 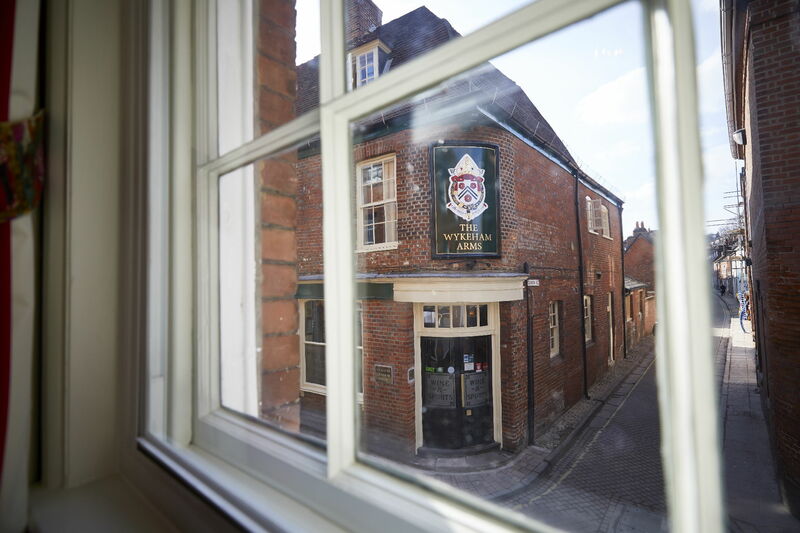 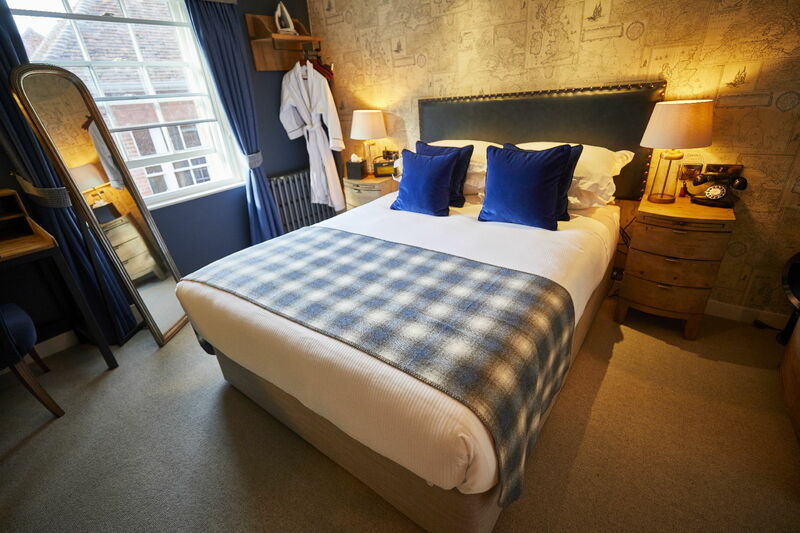 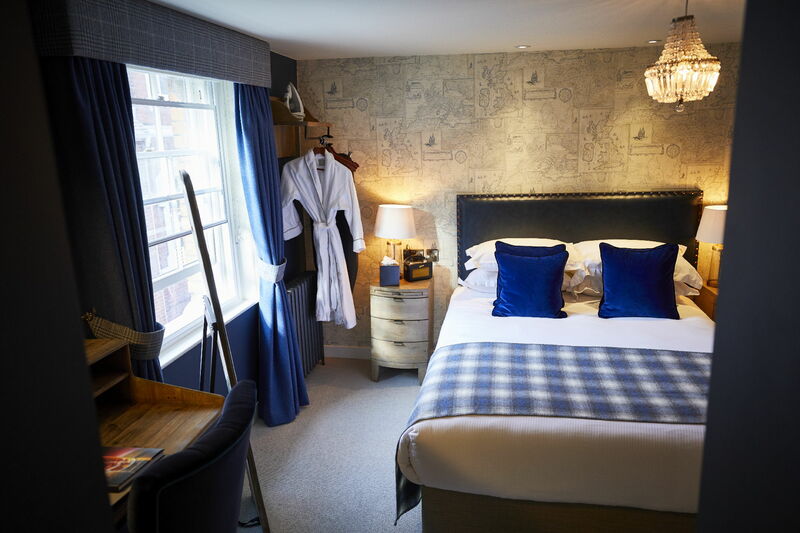 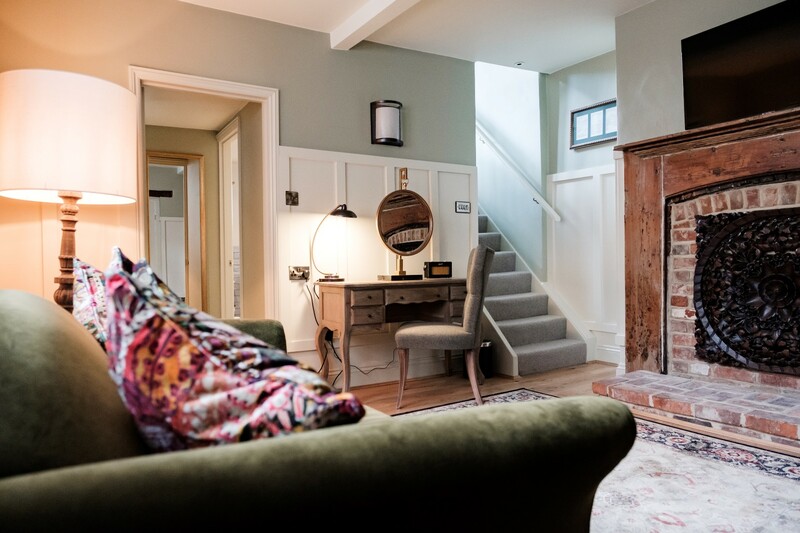 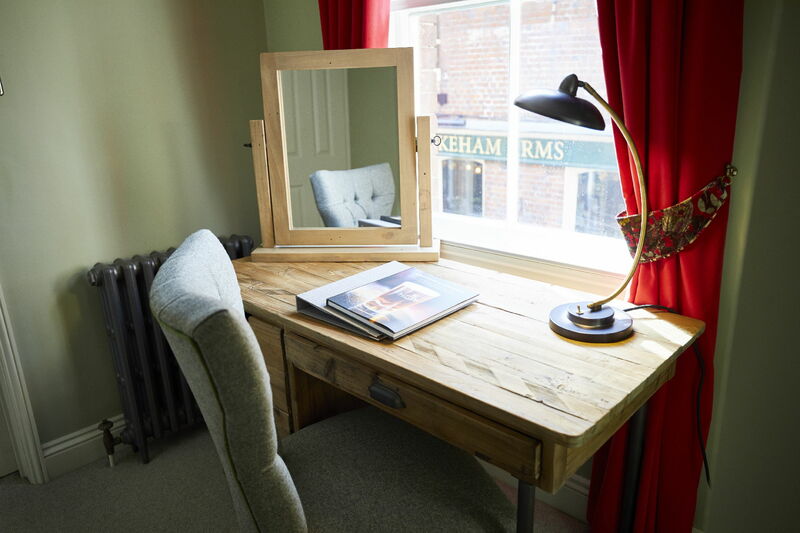 Surrounded by some of the most historic landmarks on the south coast, the award-winning Wykeham Arms is one of the best places to stay in Winchester. 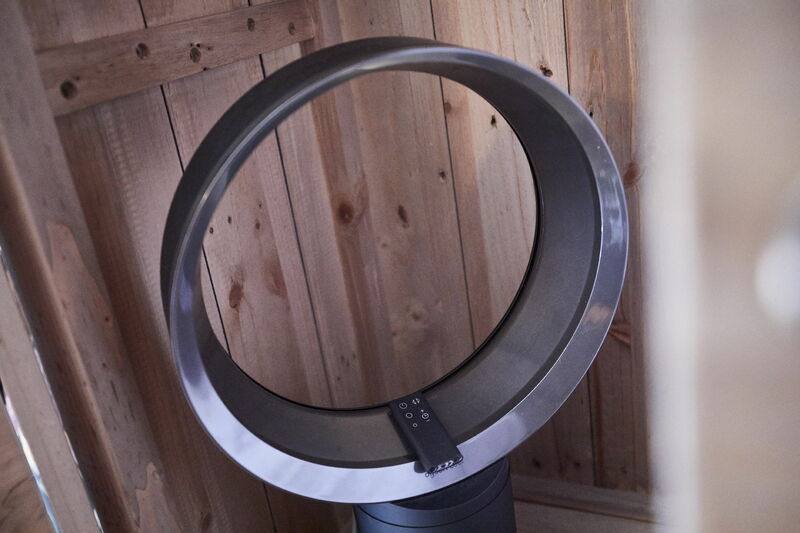 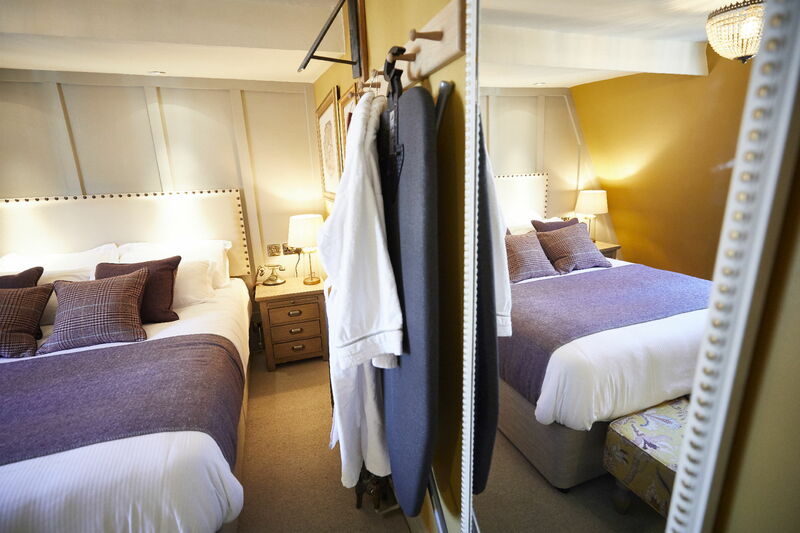 Choose your accommodation from a wonderful collection of luxurious guest rooms. 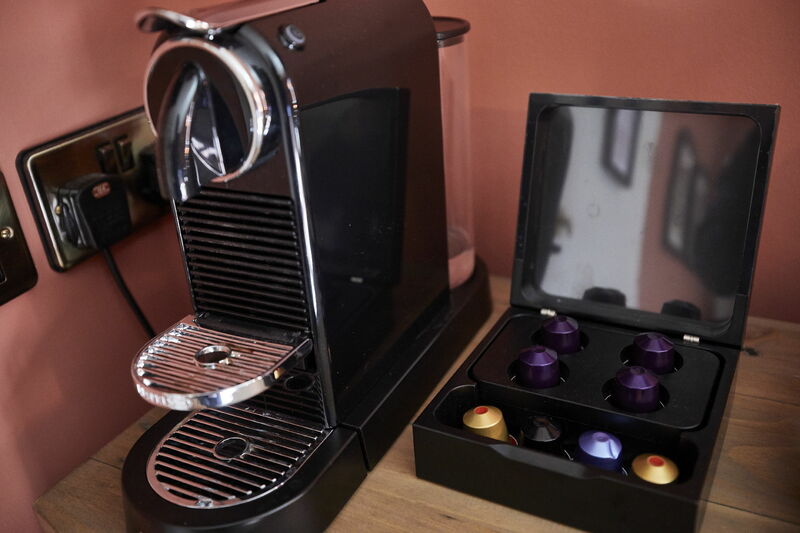 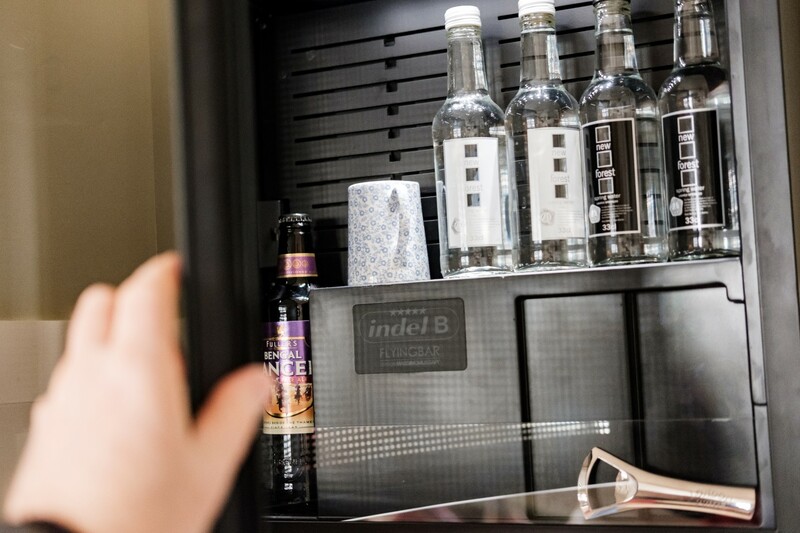 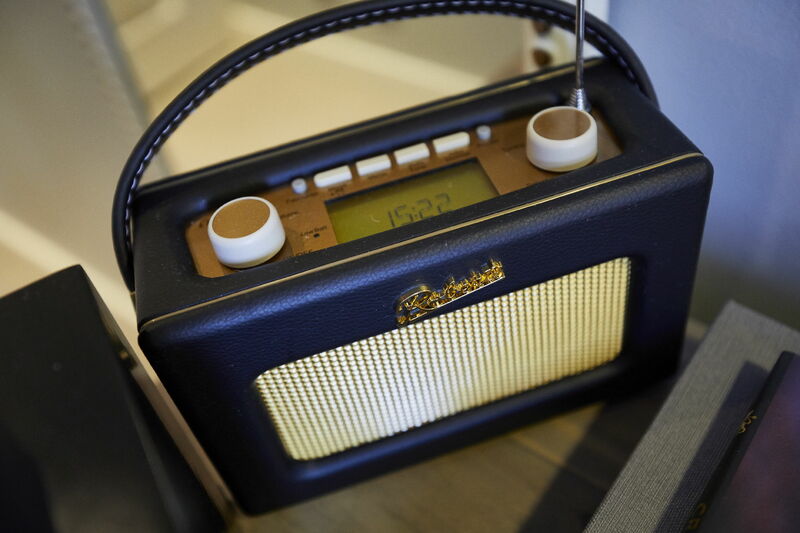 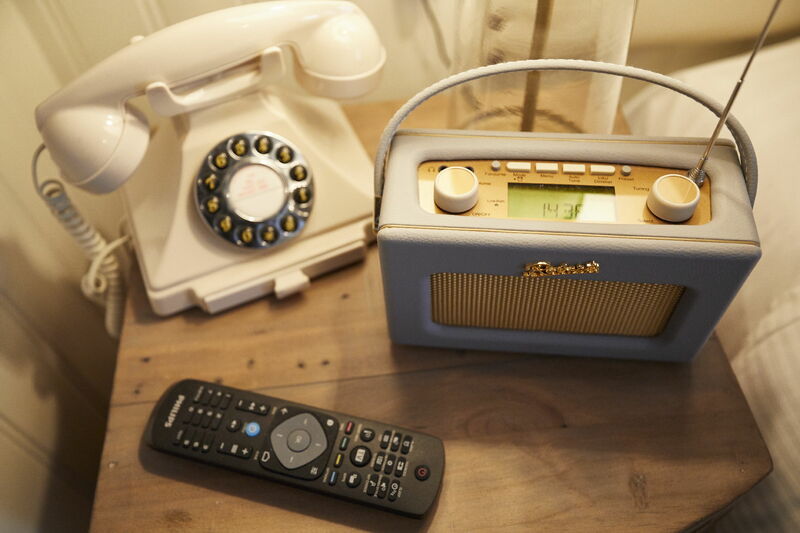 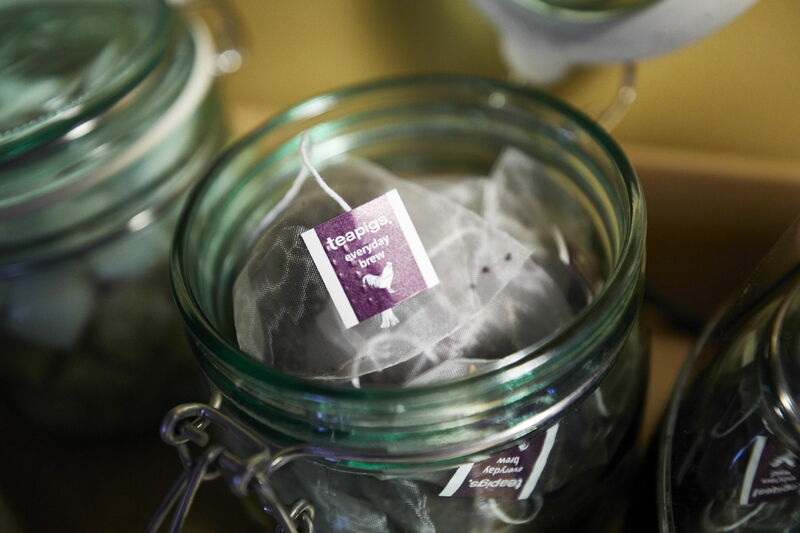 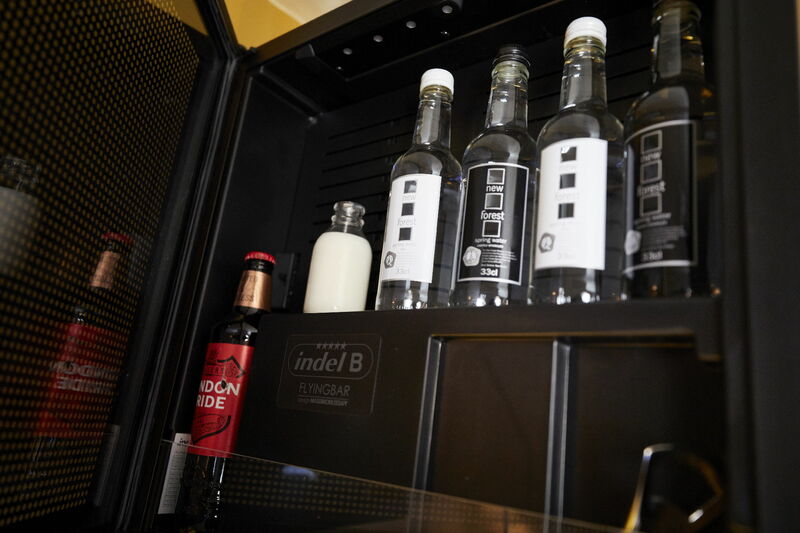 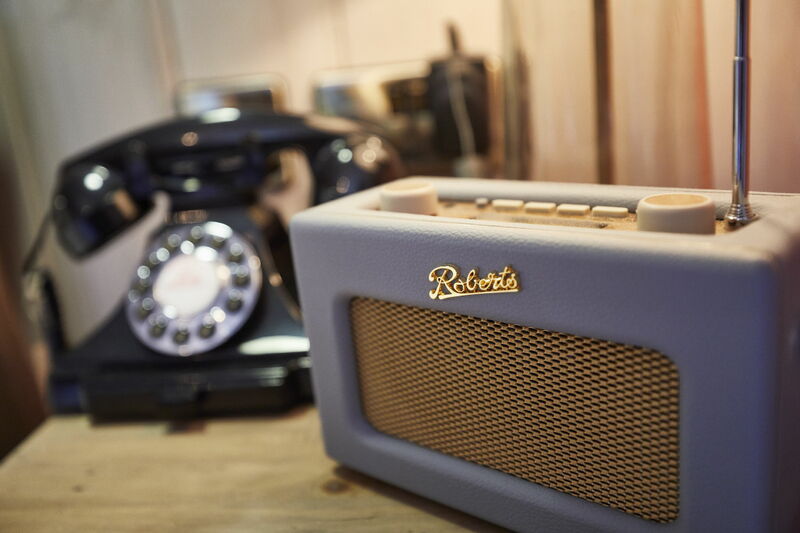 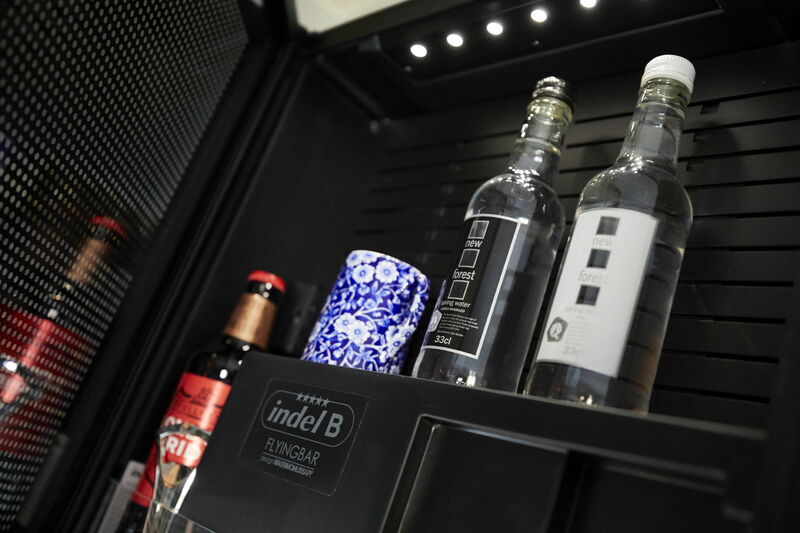 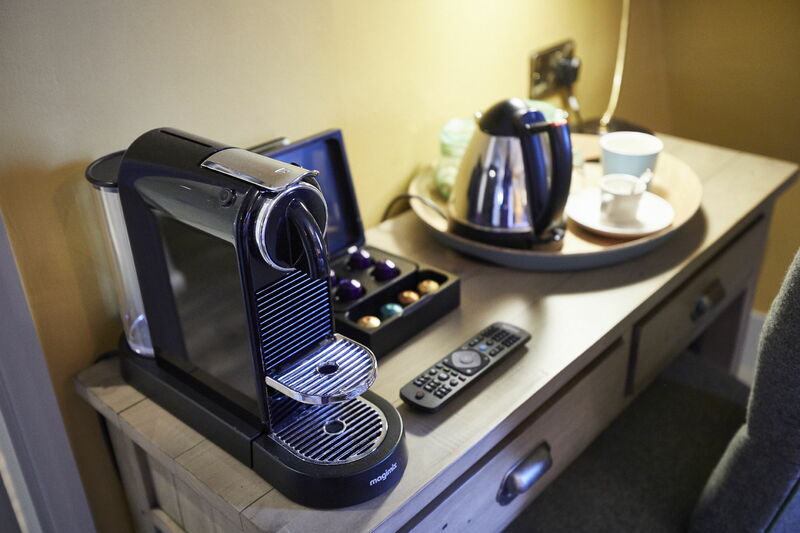 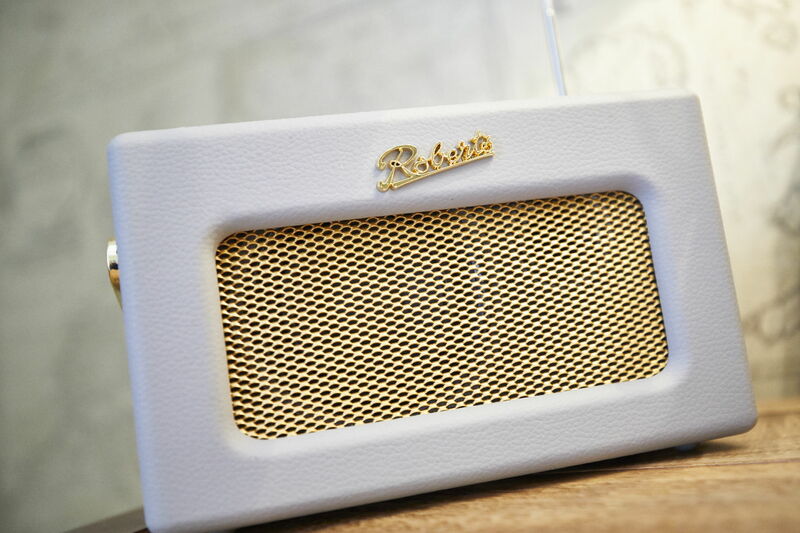 No matter which room type you choose, you'll always sleep in the finest Egyptian cotton linen and have an excellent range of teas and Nespresso Coffee at your disposal, the minibar is free of charge too. 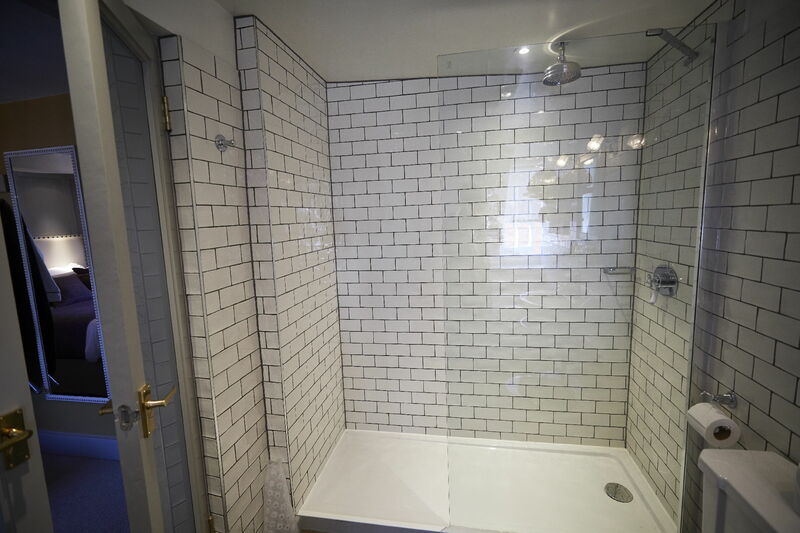 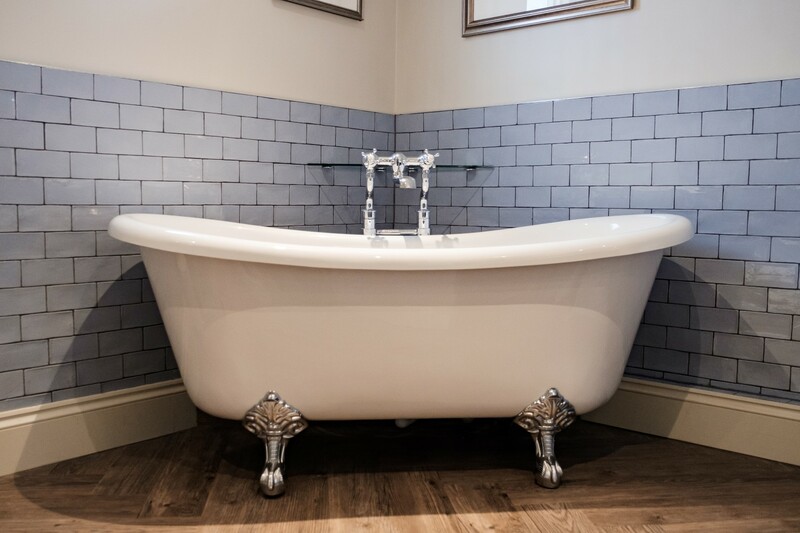 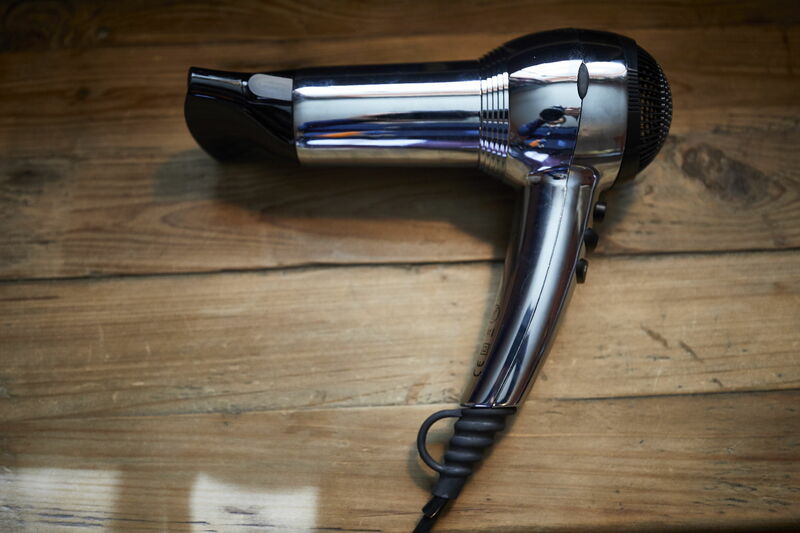 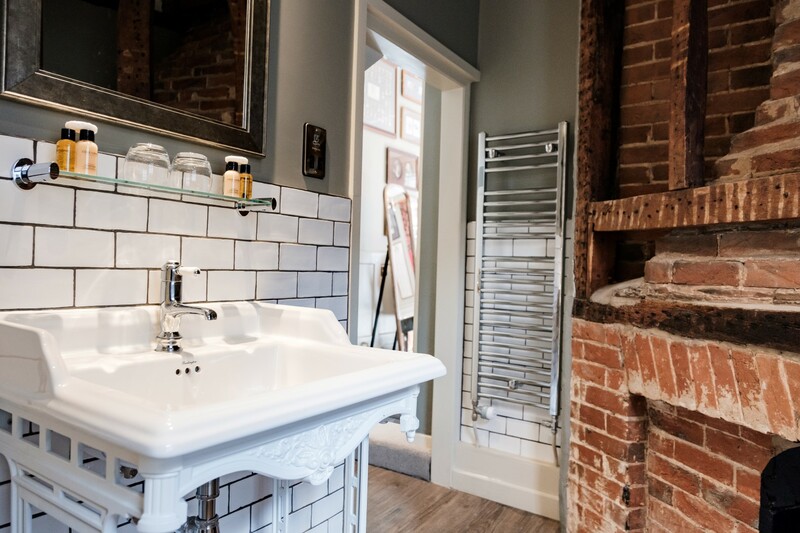 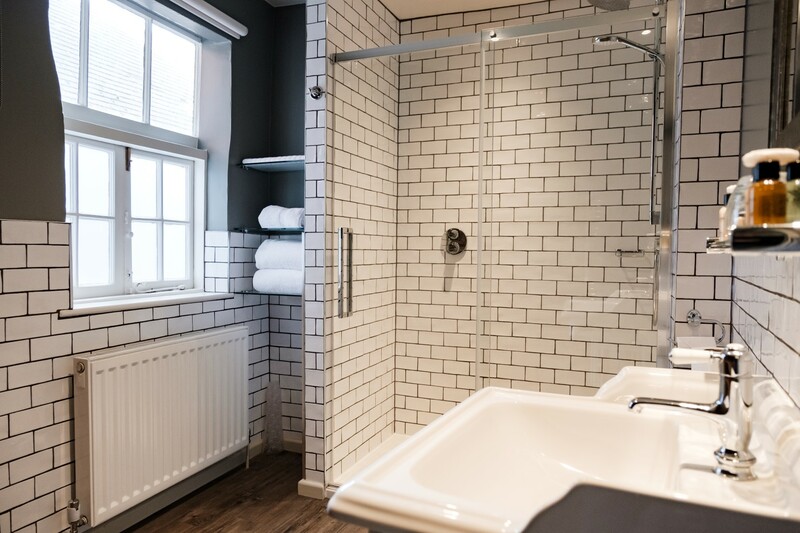 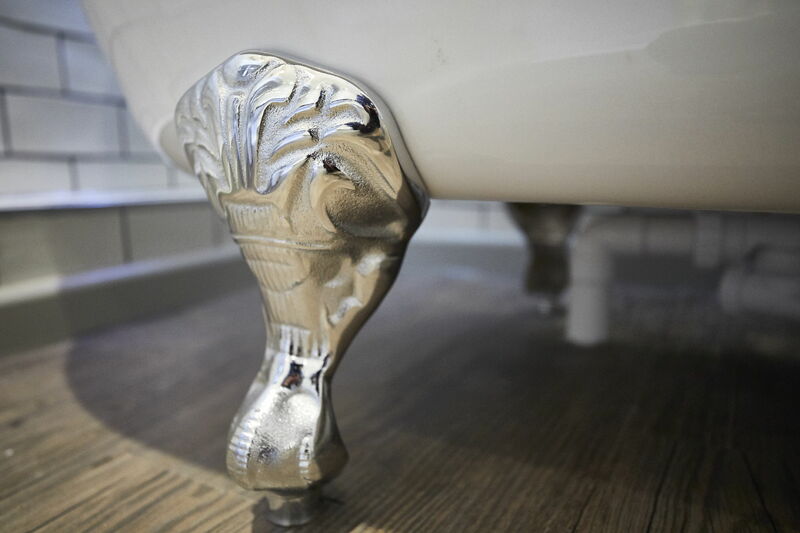 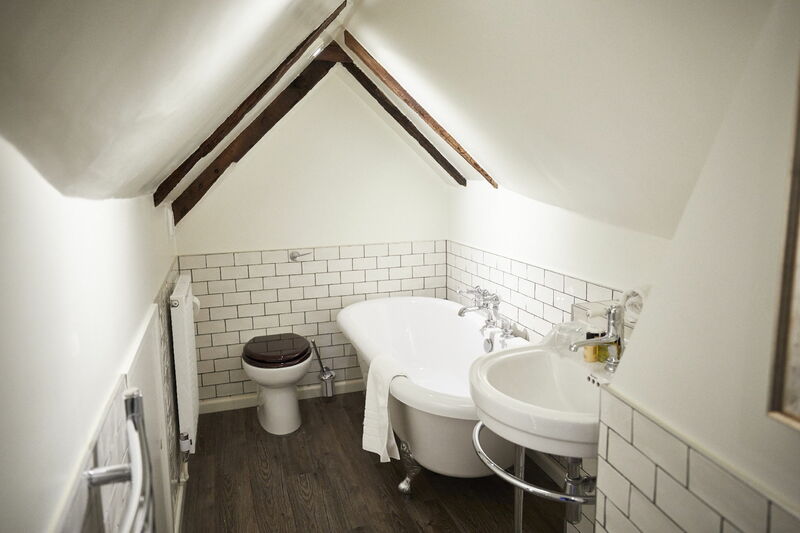 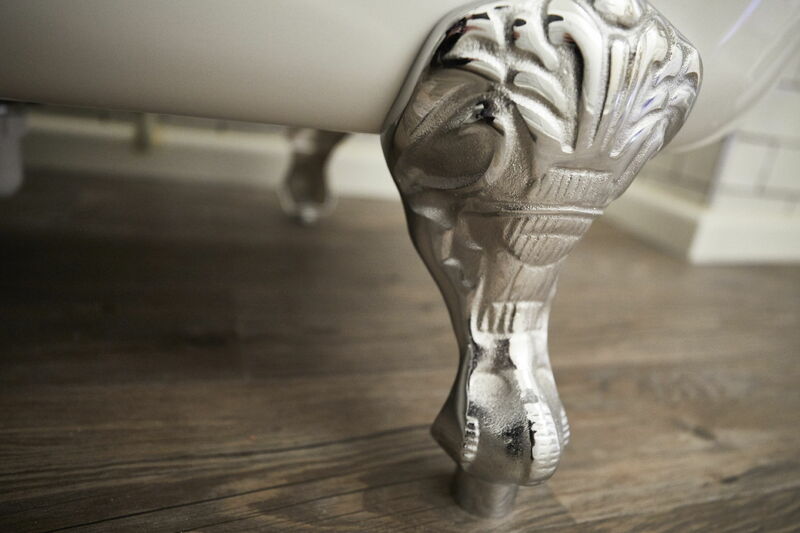 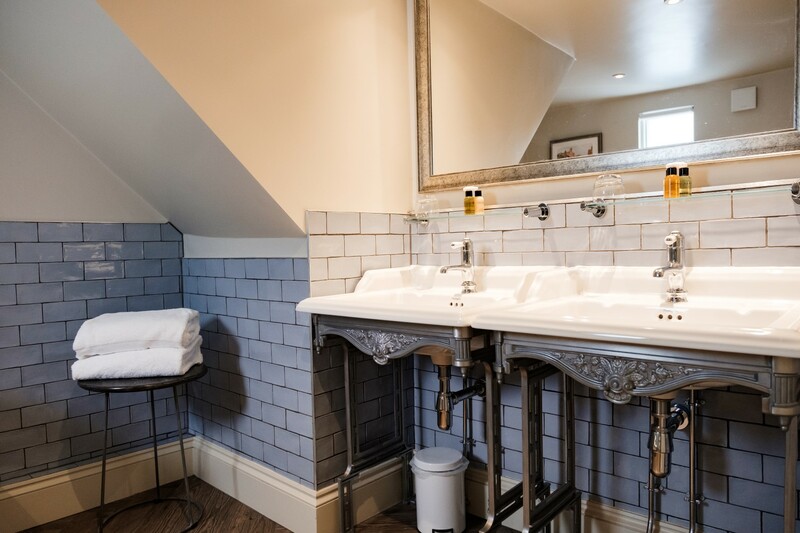 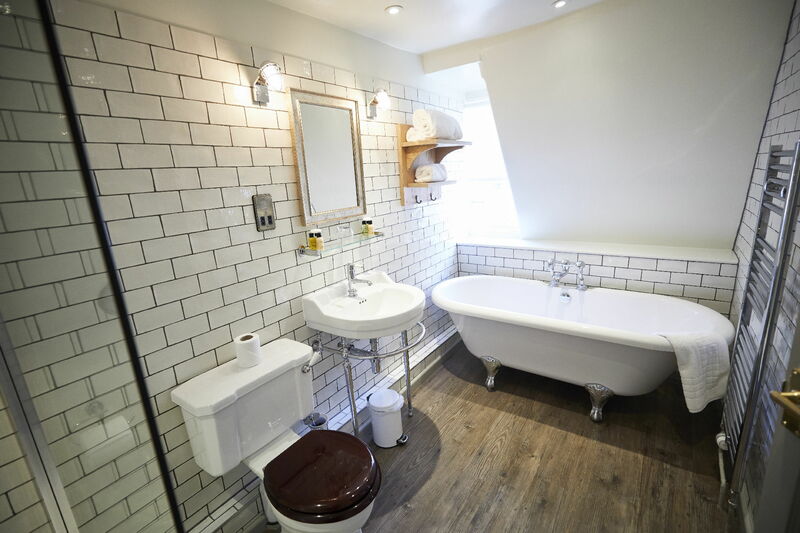 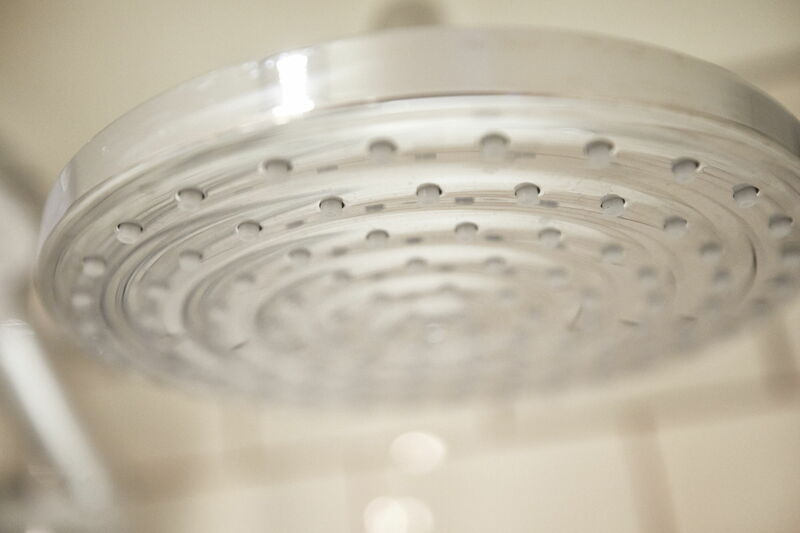 Our stunning bathrooms also have Cole & Lewis products and the fluffiest towels and robes for you to use. 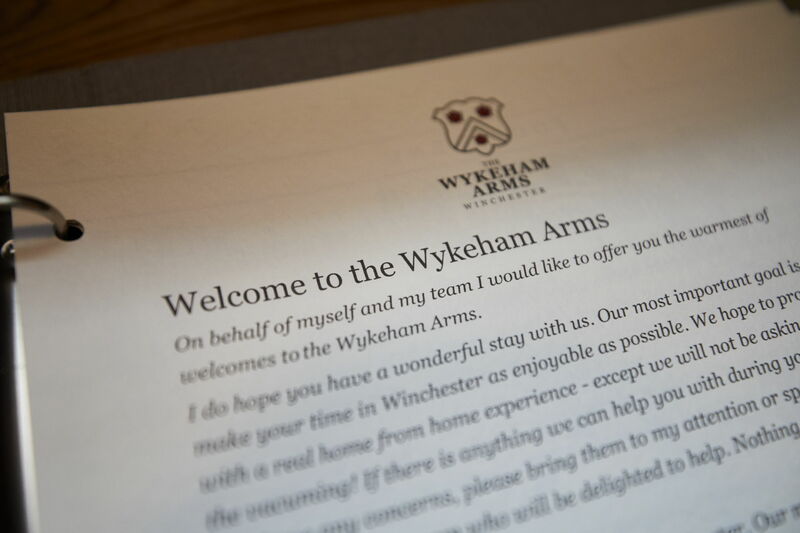 Voted Town Pub of the Year 2018 by The Good Pub Guide, we are also featured in The Good Hotel Guide 2019, making the Wykeham Arms one of the best Hotels in Winchester too. 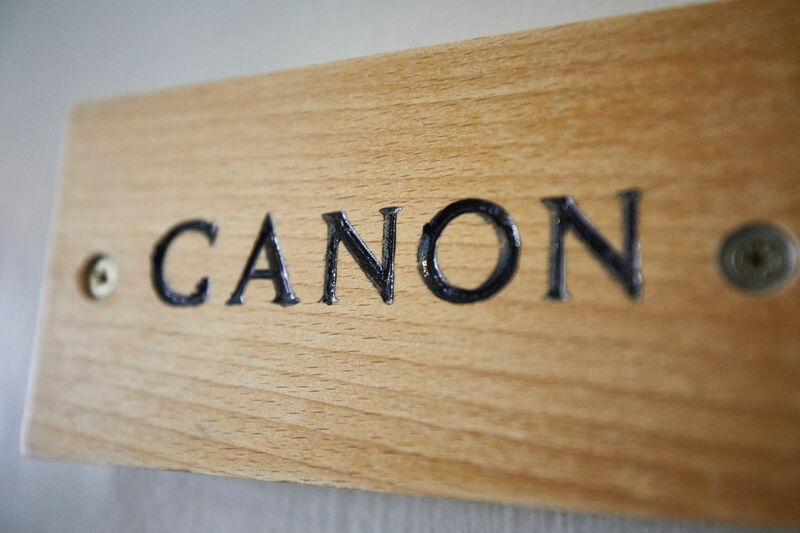 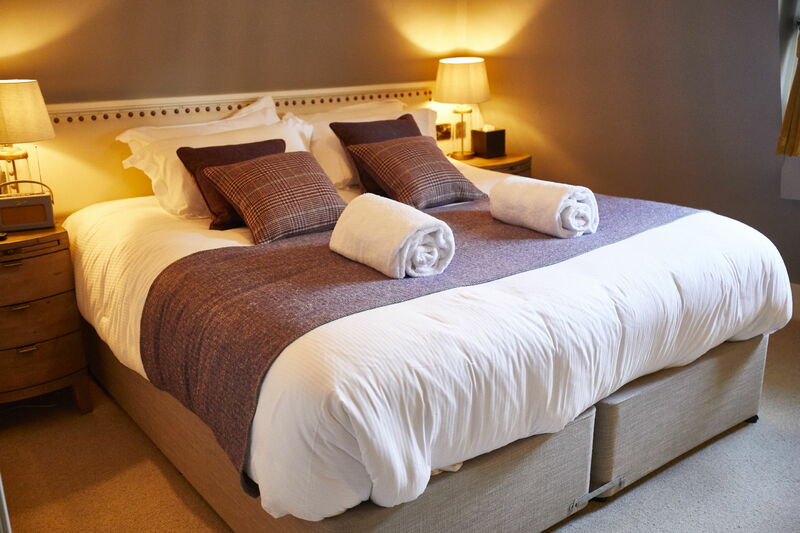 If you BOOK DIRECT with us you are guaranteed the best rate and we'll match any cheaper rates found elsewhere. 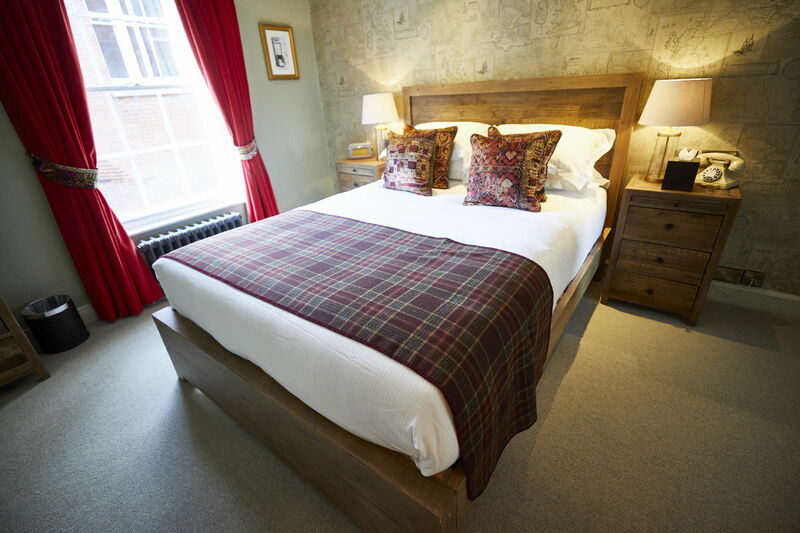 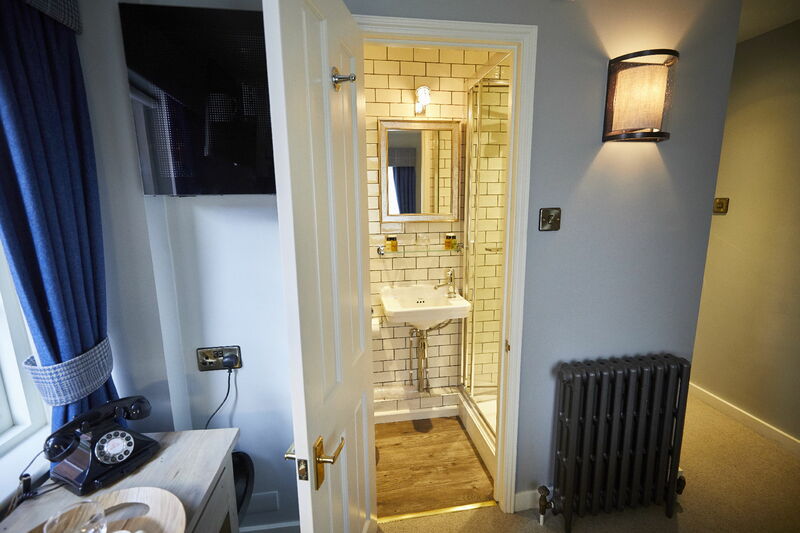 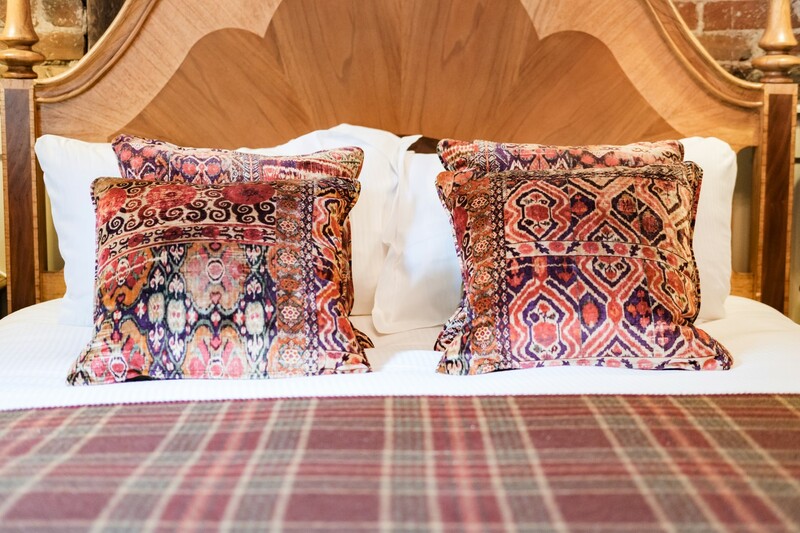 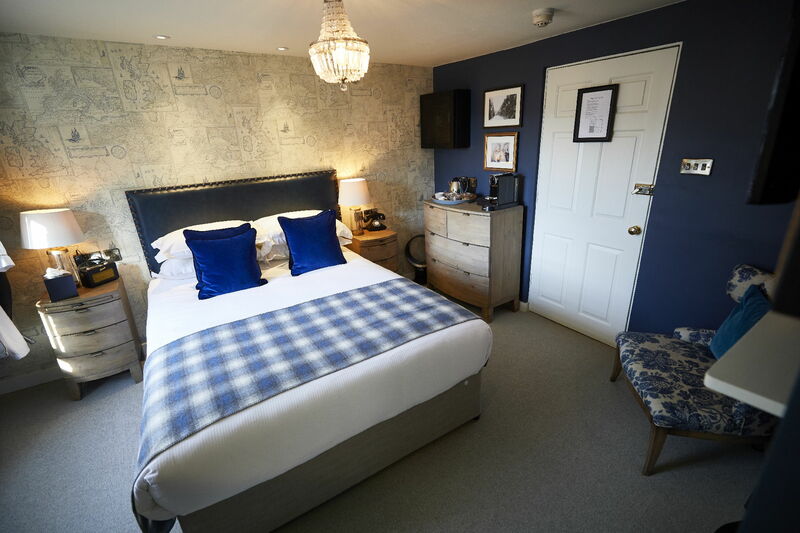 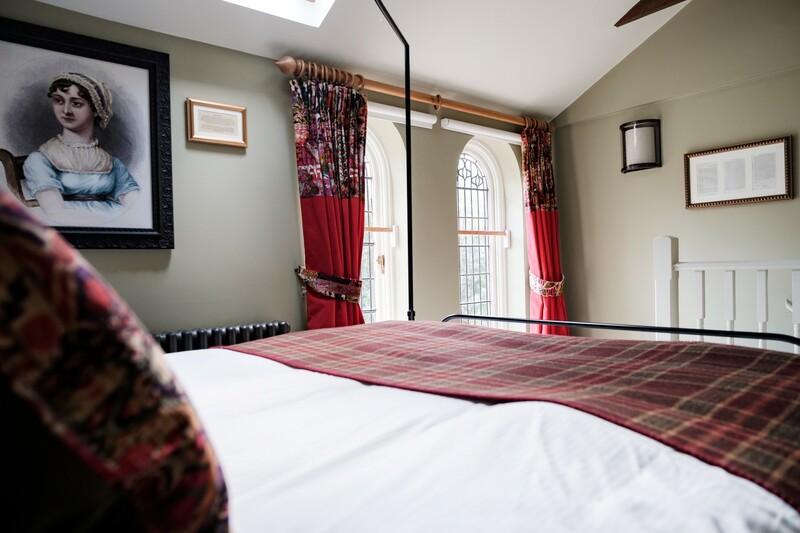 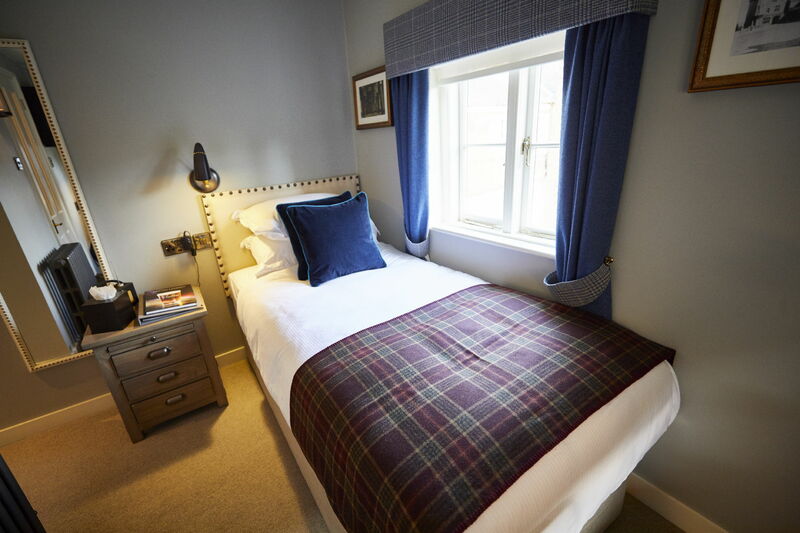 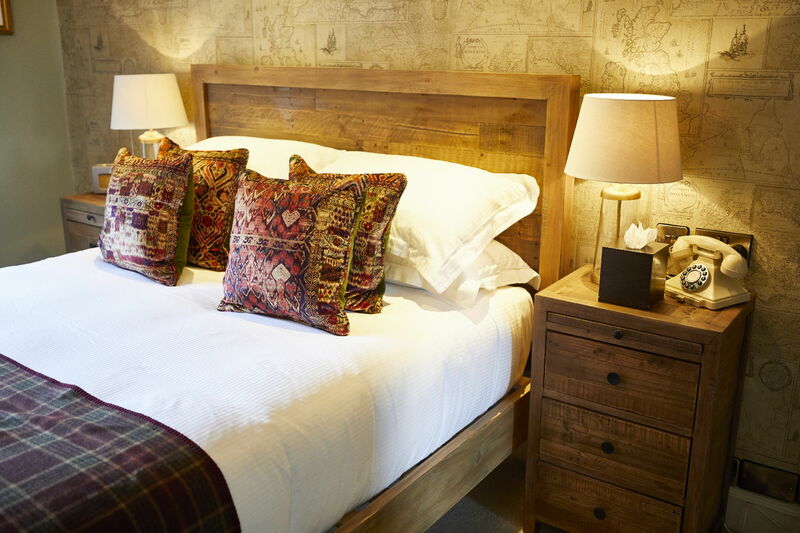 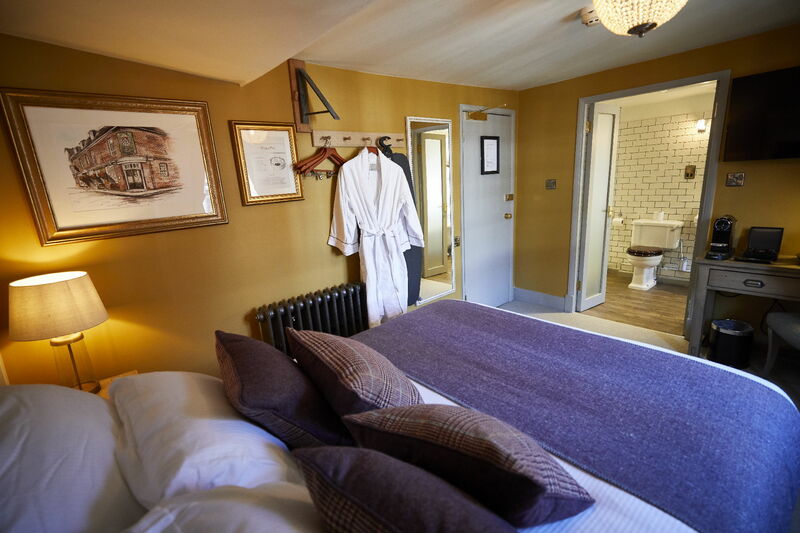 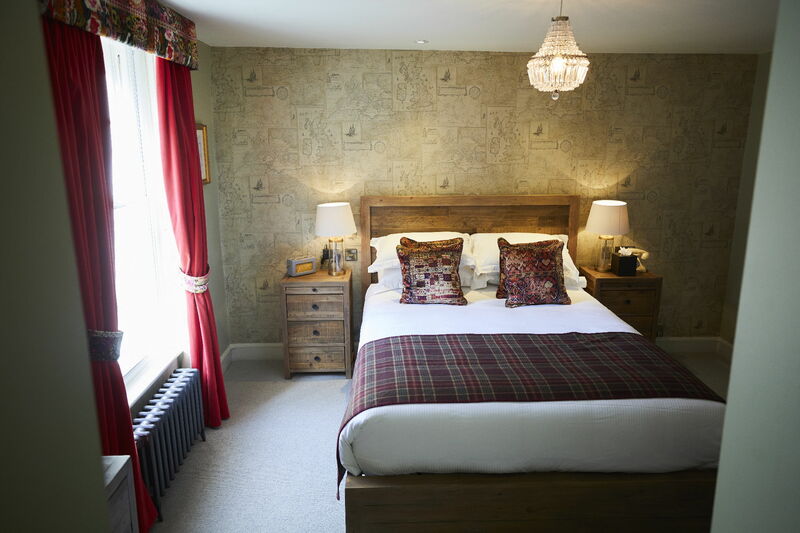 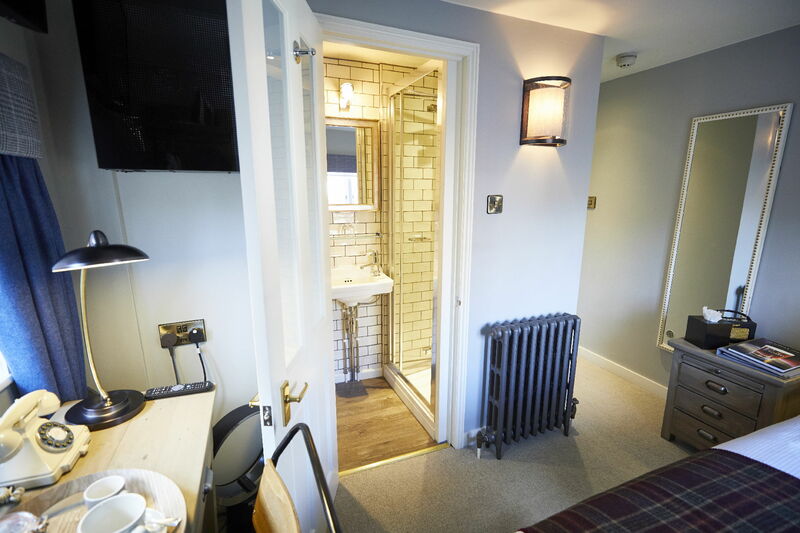 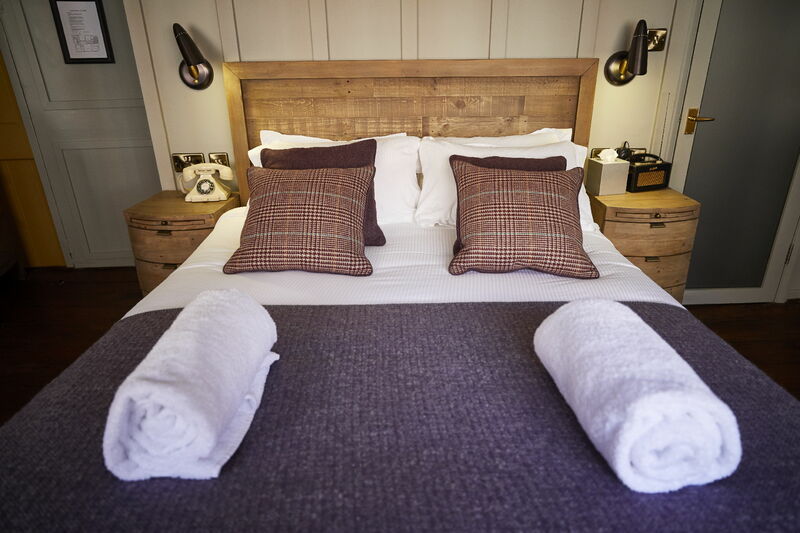 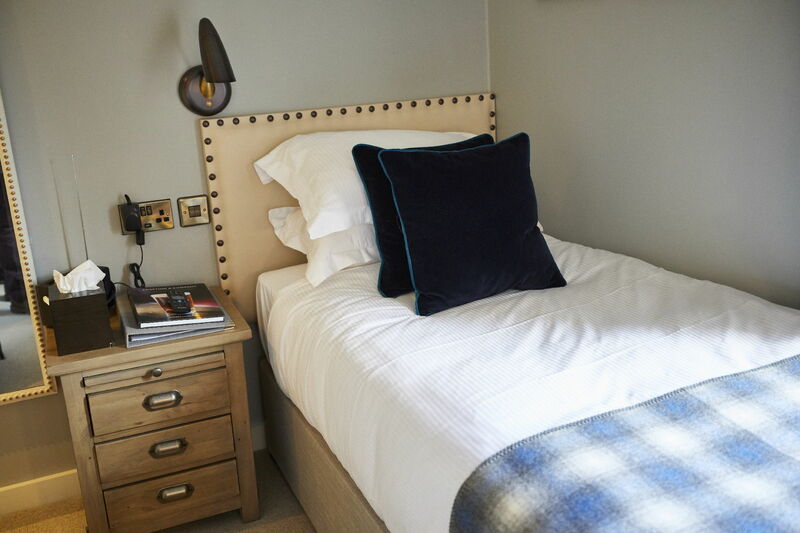 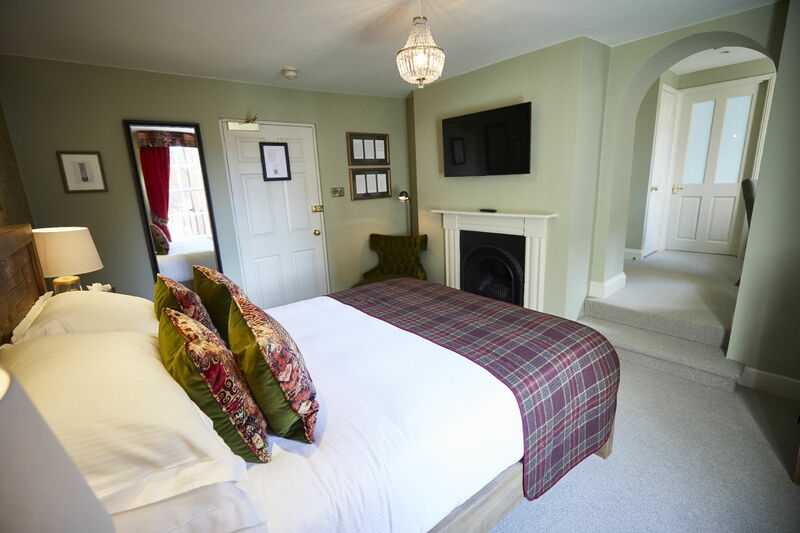 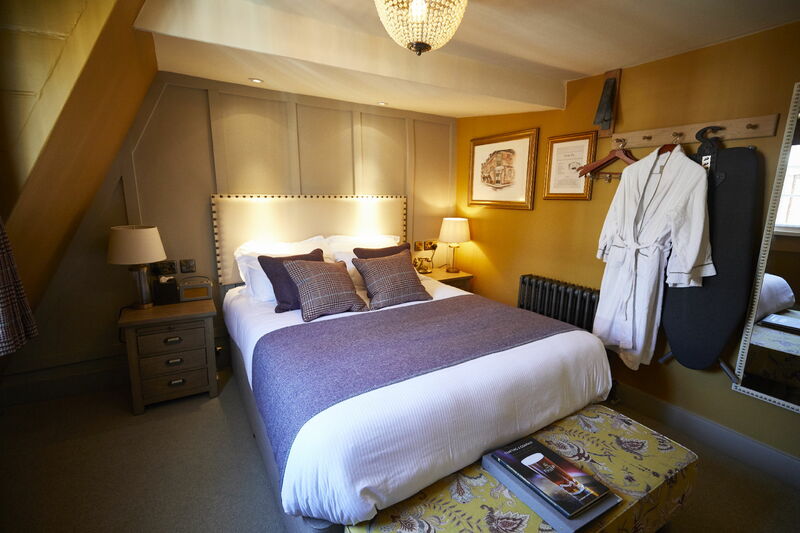 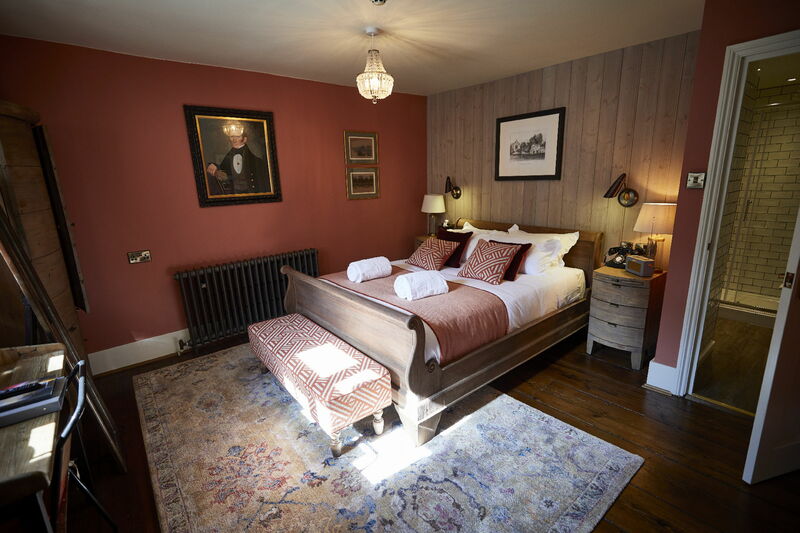 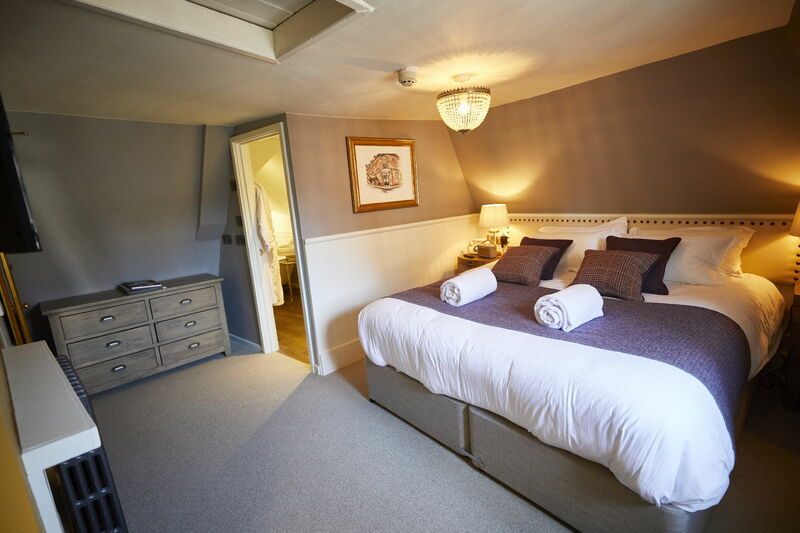 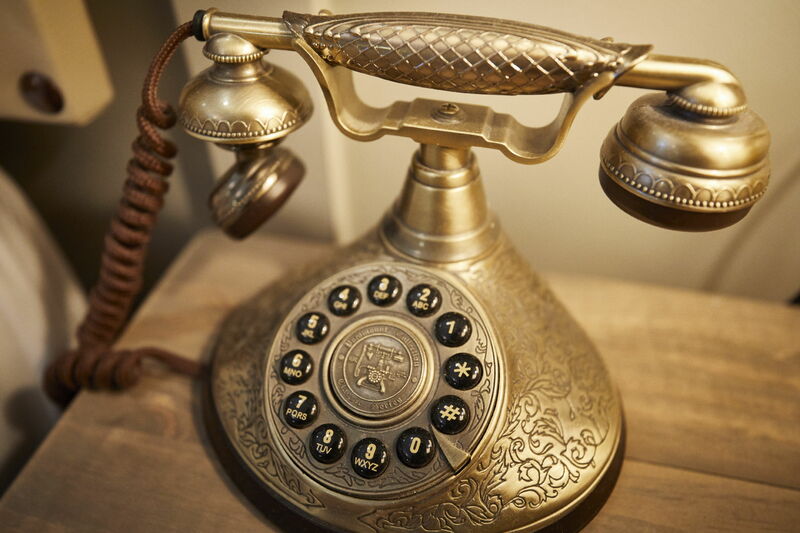 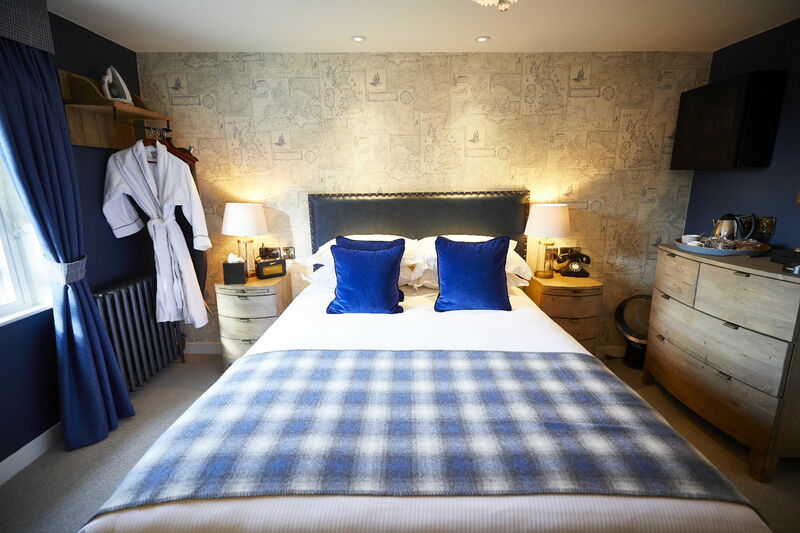 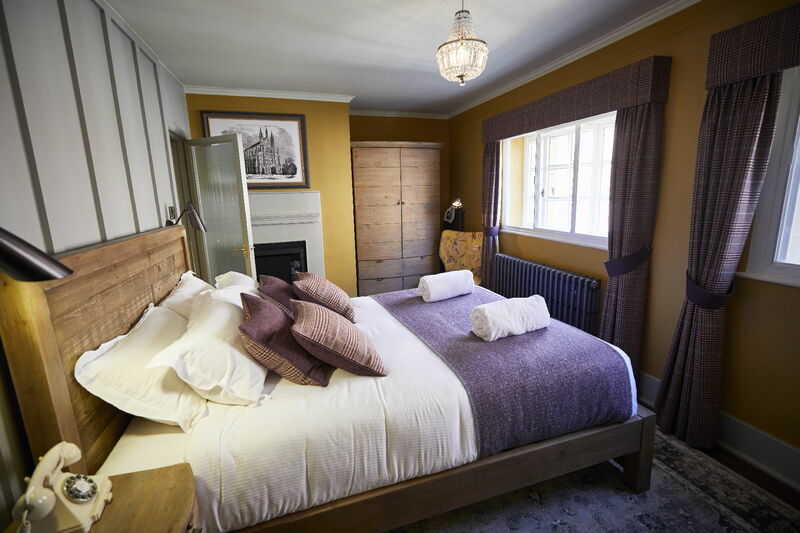 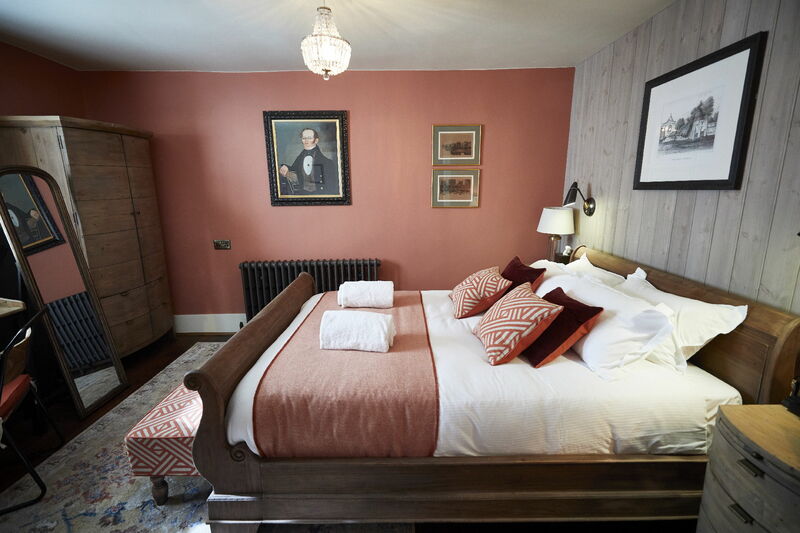 At busy periods during the year if we are unable to find a room for the date you require, why not try The White Hart, a beautiful 16th century coaching inn, in Stockbridge. 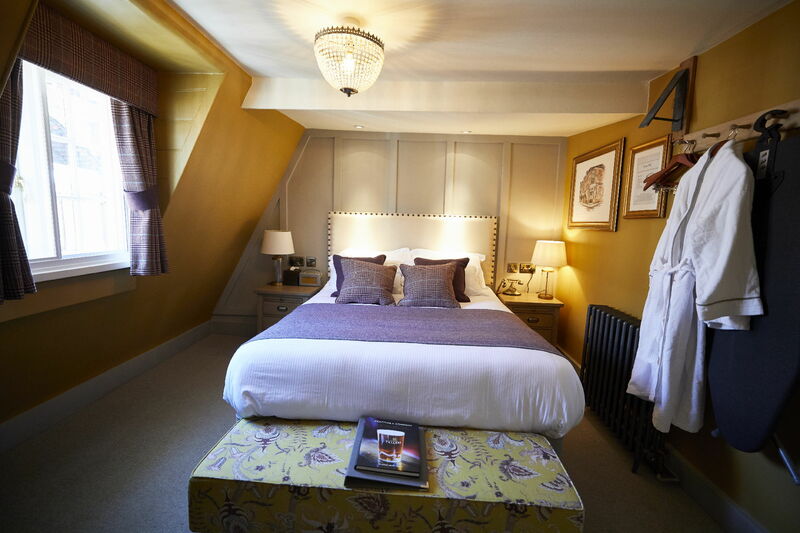 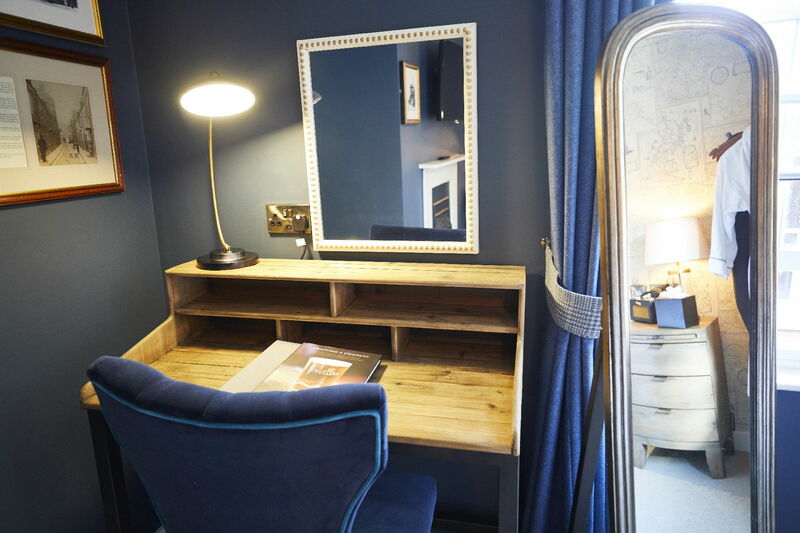 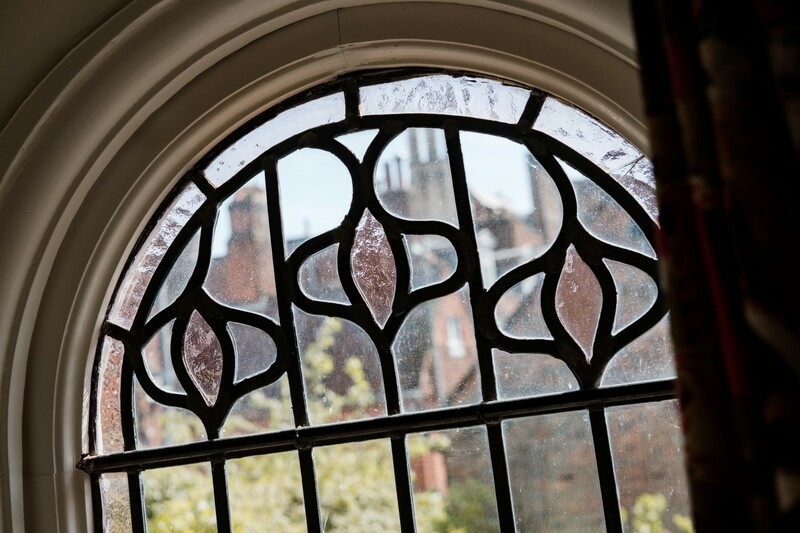 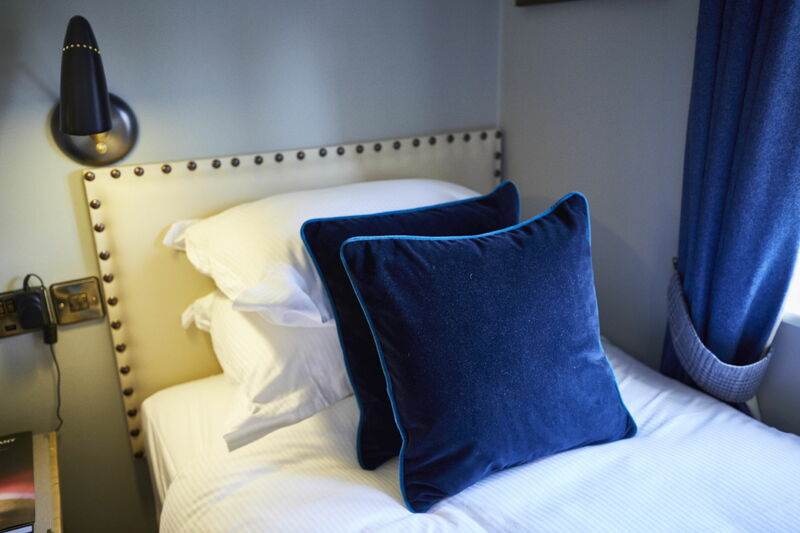 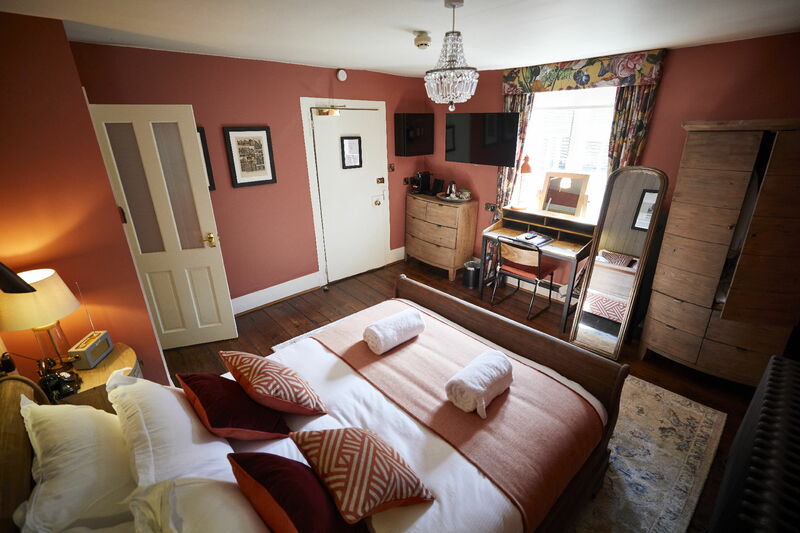 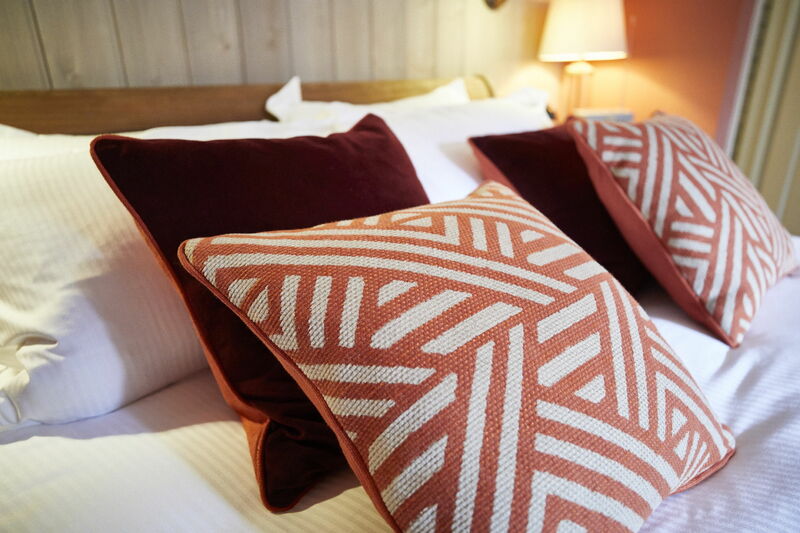 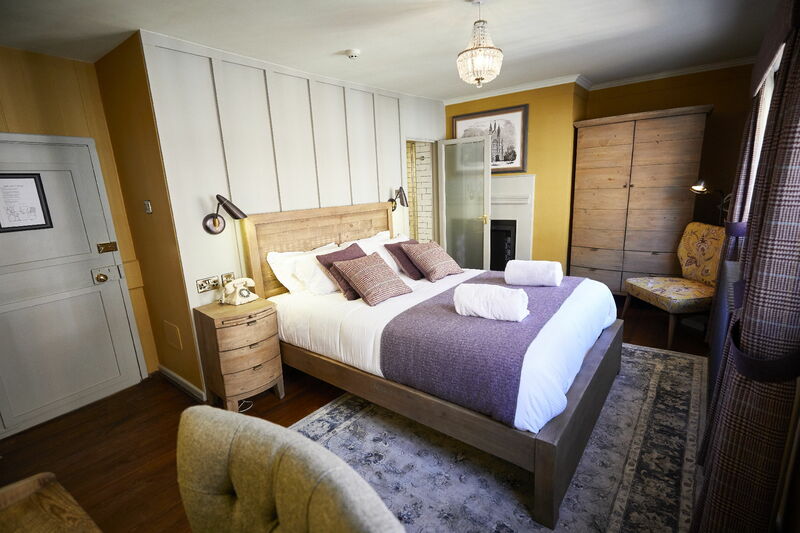 Our luxurious double suite has to be one of the best rooms in Winchester, with a mezzanine-level bedroom, a separate living room and access to a magnificent secret garden. 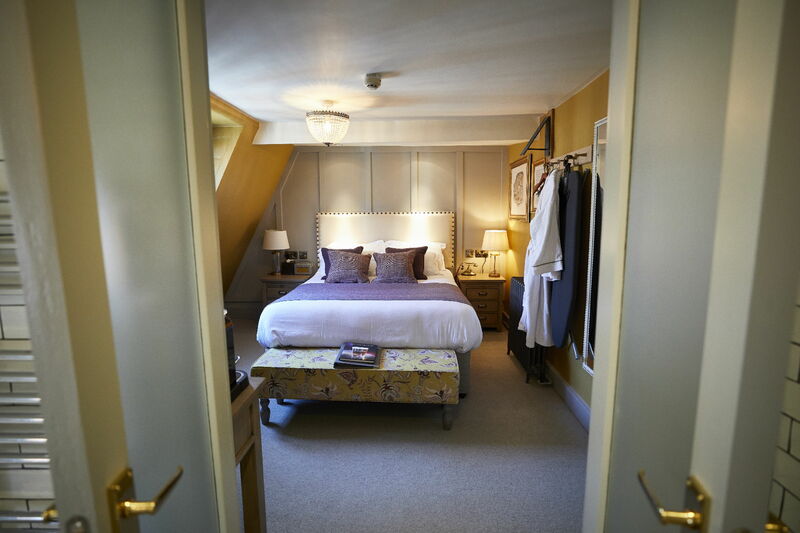 Fine linens and a sumptuous bed (and a sofa bed) add to the wonderful feeling of grandeur, while a host of glamorous luxuries like a deep bath tub and cosy bathrobes, make this suite a truly special place to relax. 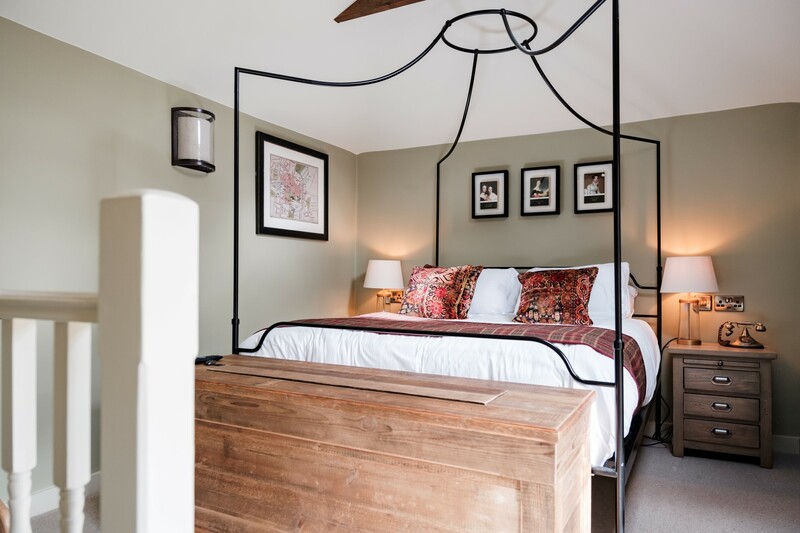 The included occupancy for the Double suite is two adults. 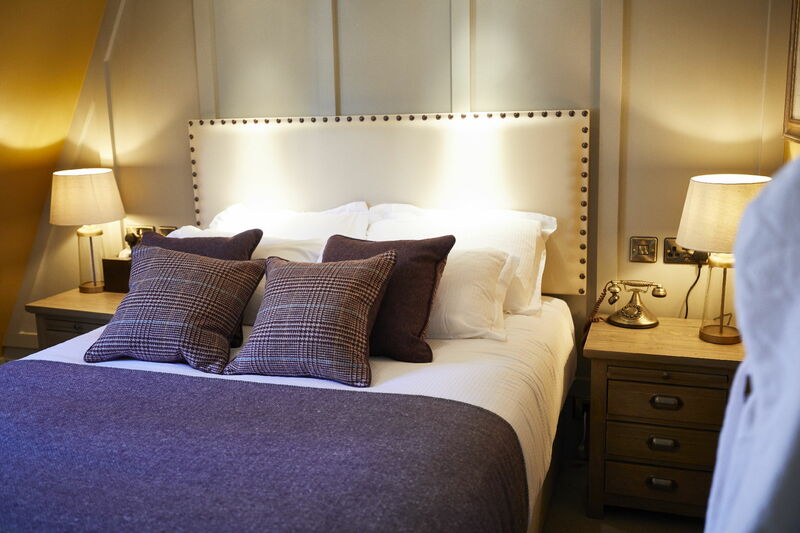 Additional adults, up to a maximum of two, can be accommodated in the suite's double sofa bed. 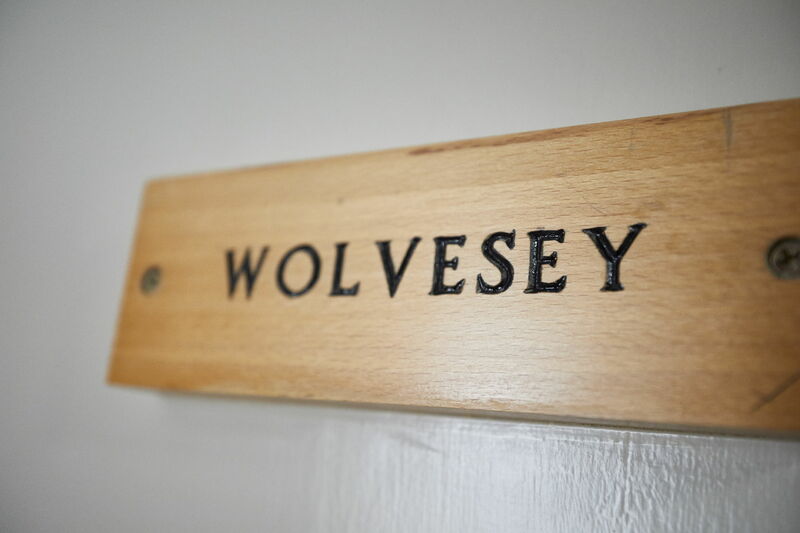 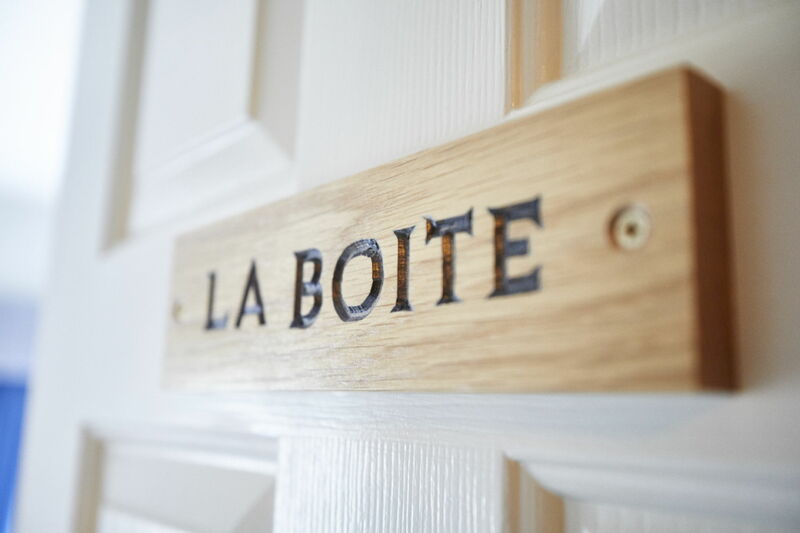 An additional charge of £30 room only or £44.50 bed & breakfast per guest, per night is added to all reservations on booking. 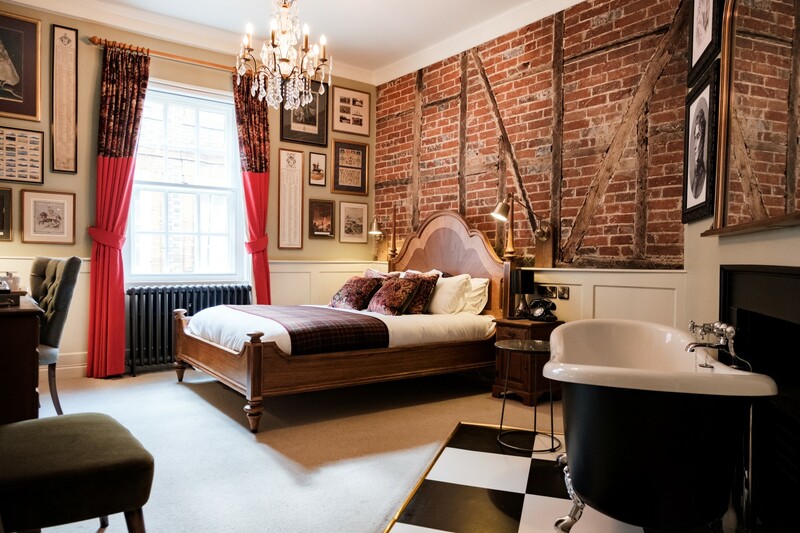 These stunning rooms certainly live up to their billing. 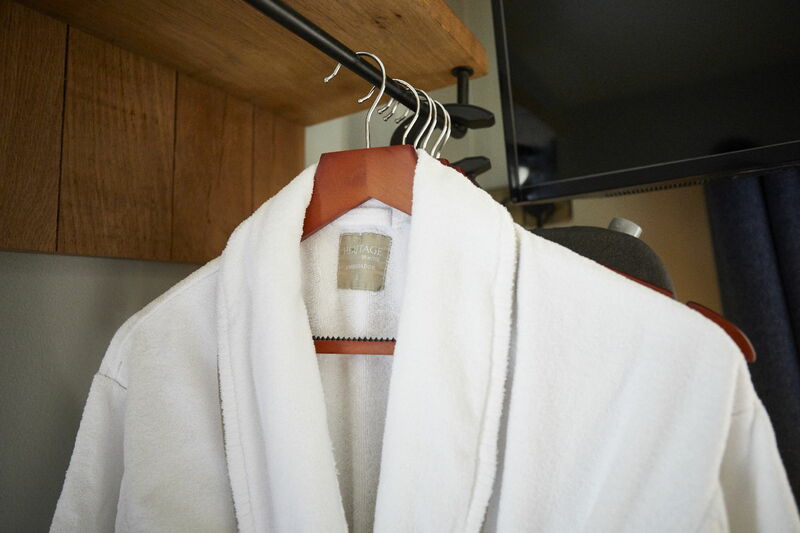 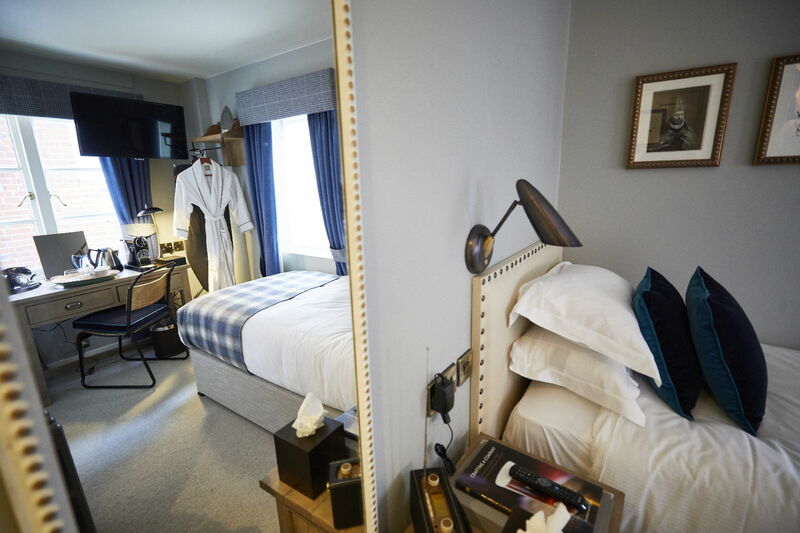 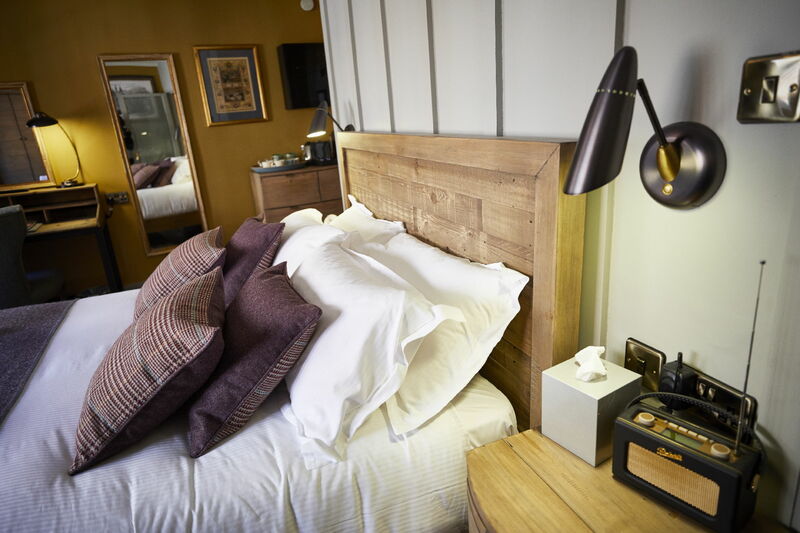 The king-size beds are complimented by a raft of other delightful extras - including stylish bathrobes in the ensuite bathroom and a flat-screen television for your entertainment. 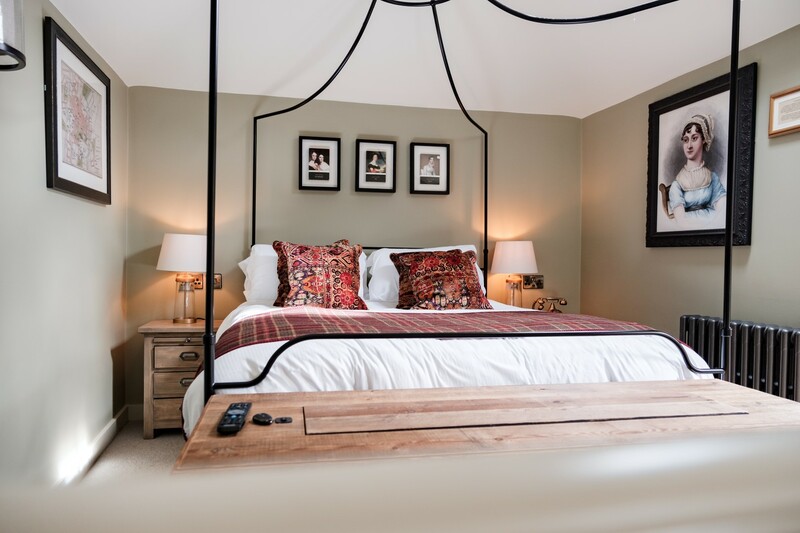 Stretch out in a Super kingsize beds that can be made into two singles on request. 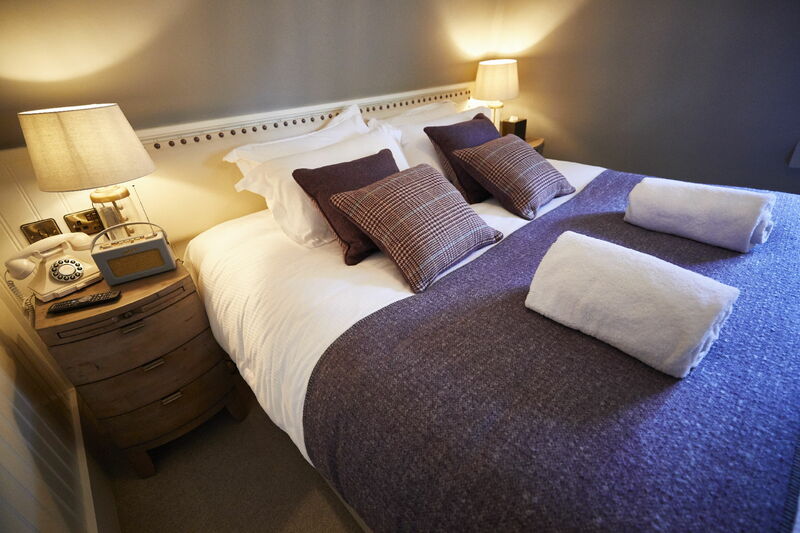 Our 2 King /Twin rooms offer stylish accommodation at great value. 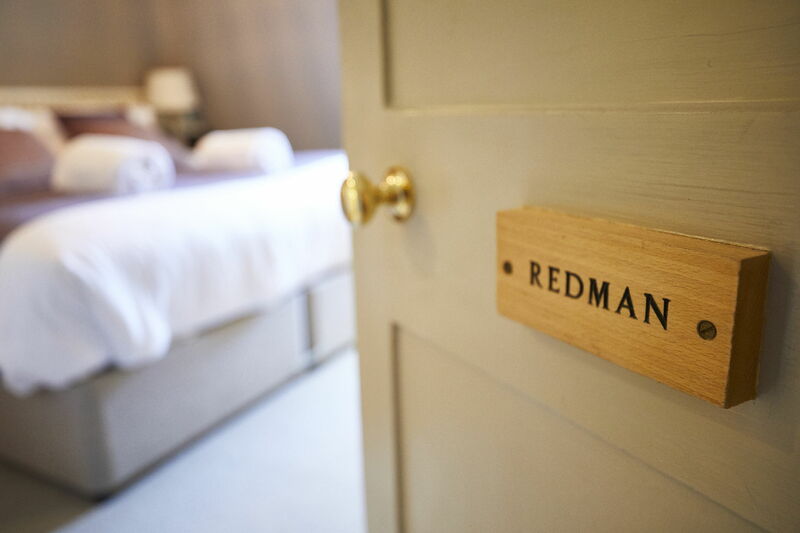 These rooms feature spacious ensuite bathrooms with shower, and boast a flat-screen television. 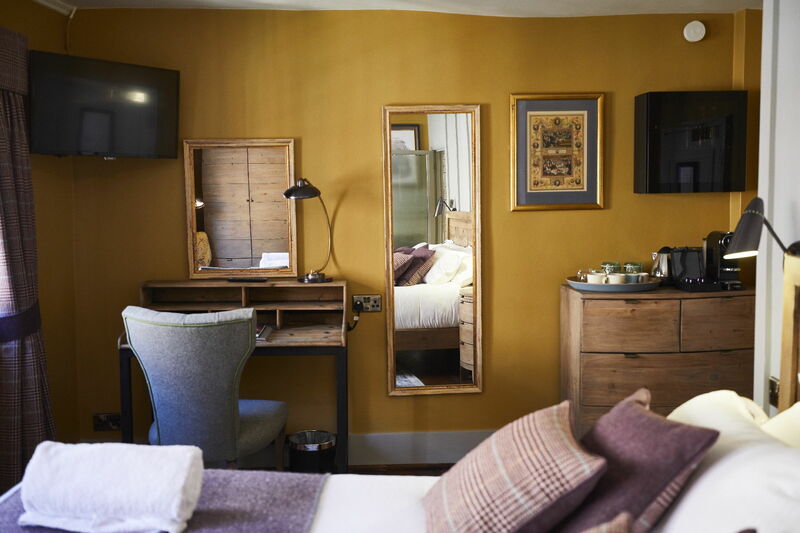 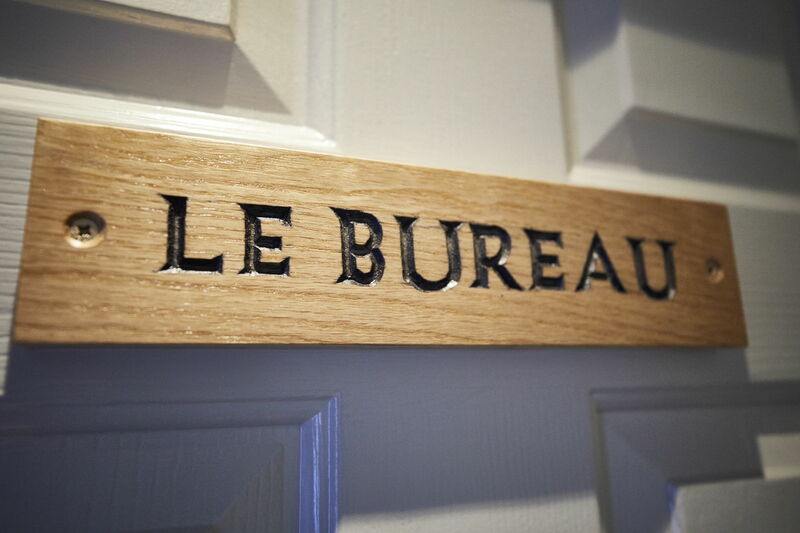 With a few smile-inducing flourishes, our five luxury double rooms offer stylish accommodation at great value. 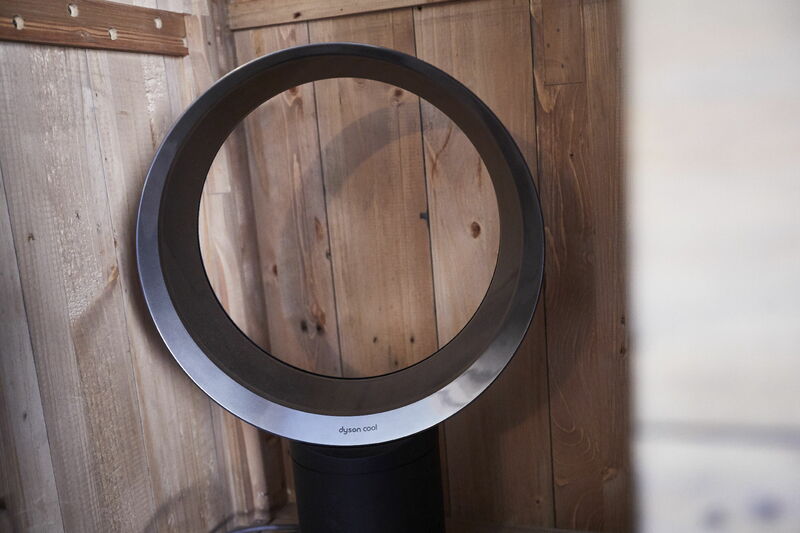 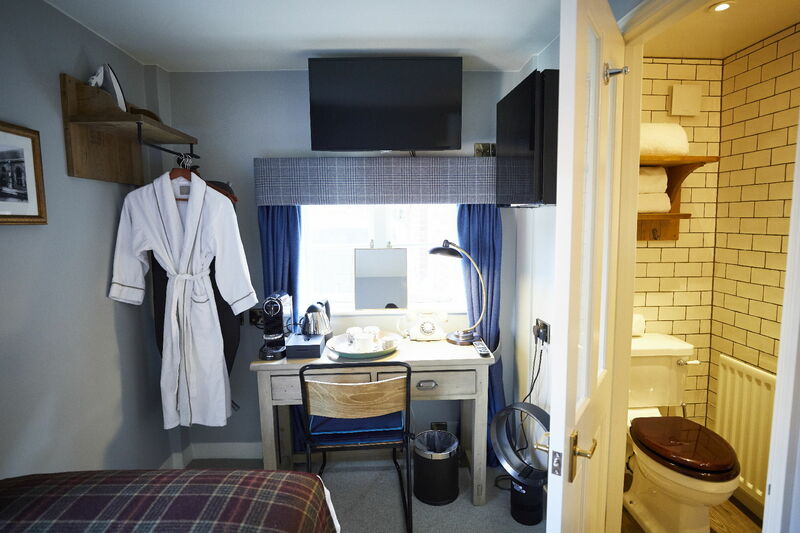 These rooms feature spacious ensuite bathrooms with a standalone shower, and boast a flat-screen television. 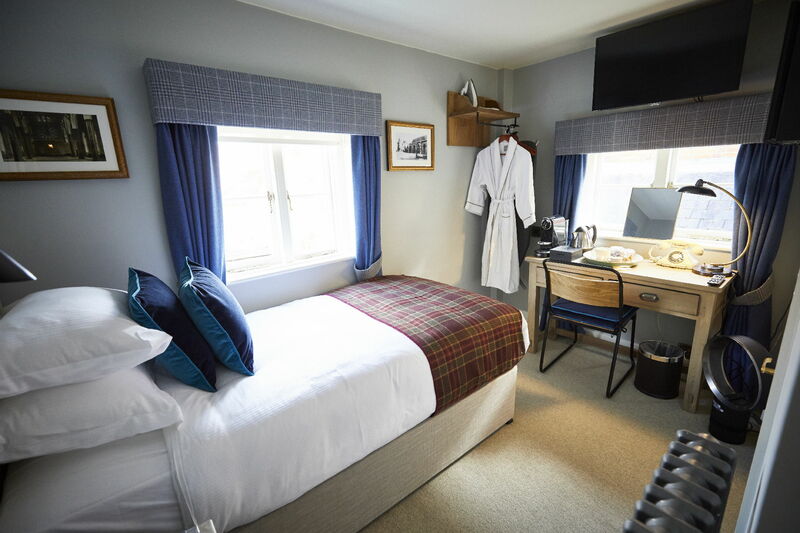 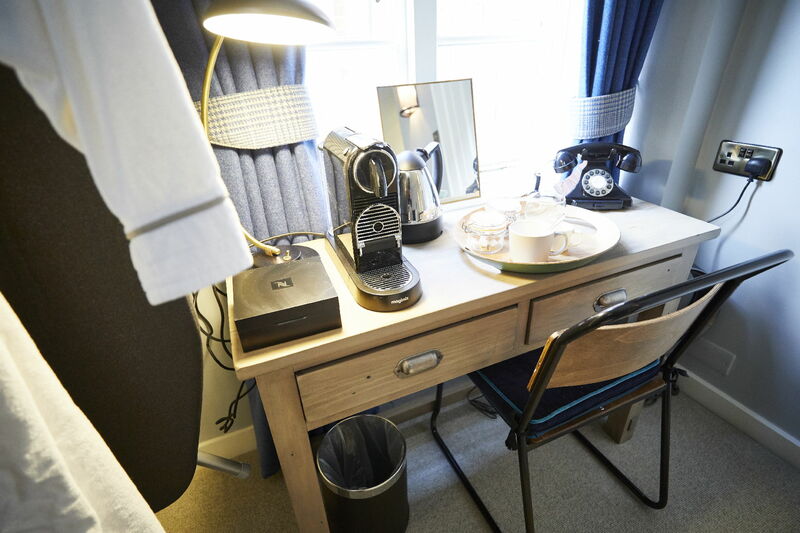 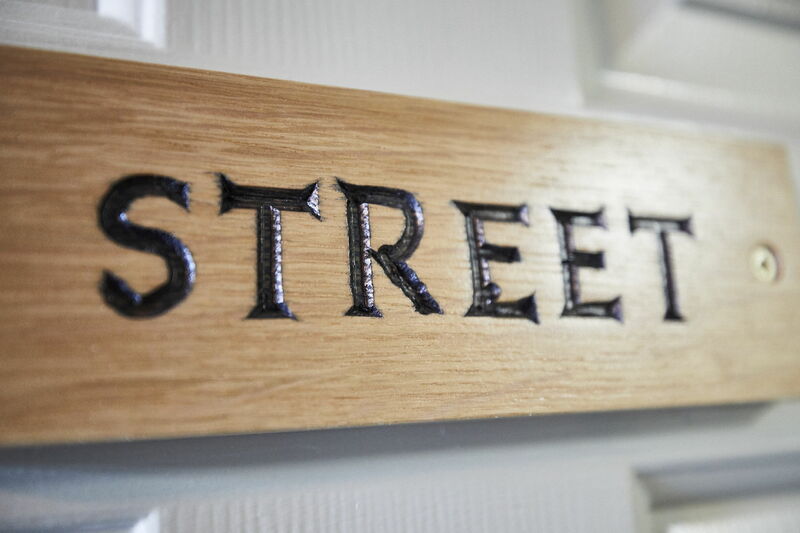 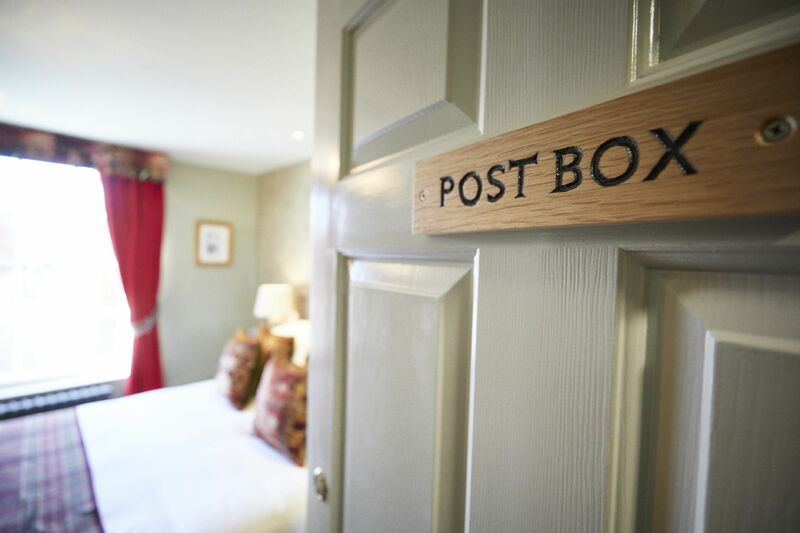 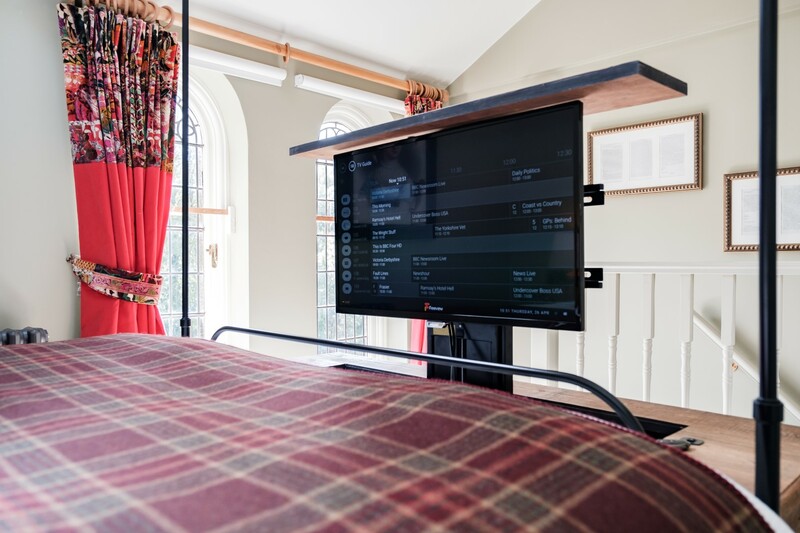 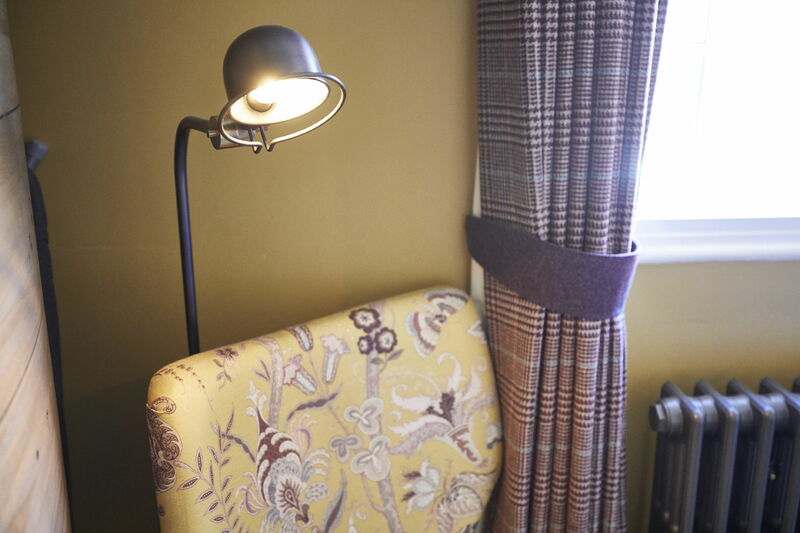 Every good inn should have a selection of single rooms for the independent traveller - and we have two exceptional single rooms that offer all the conveniences of home. 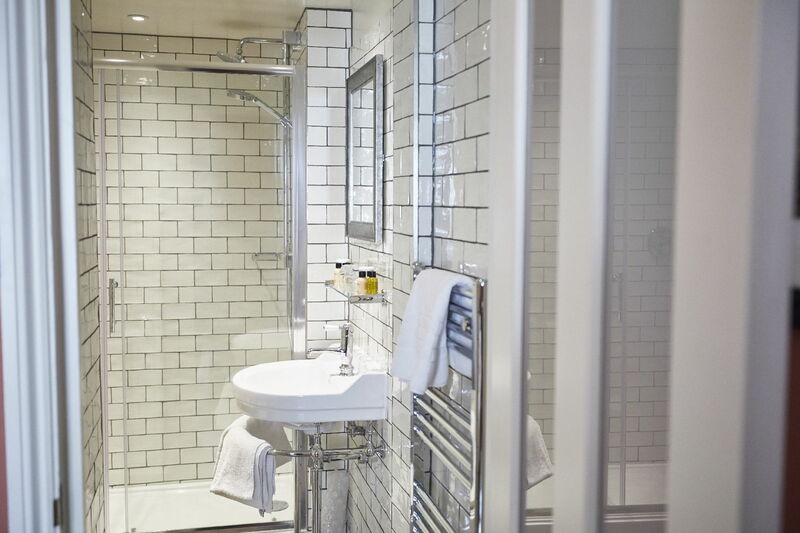 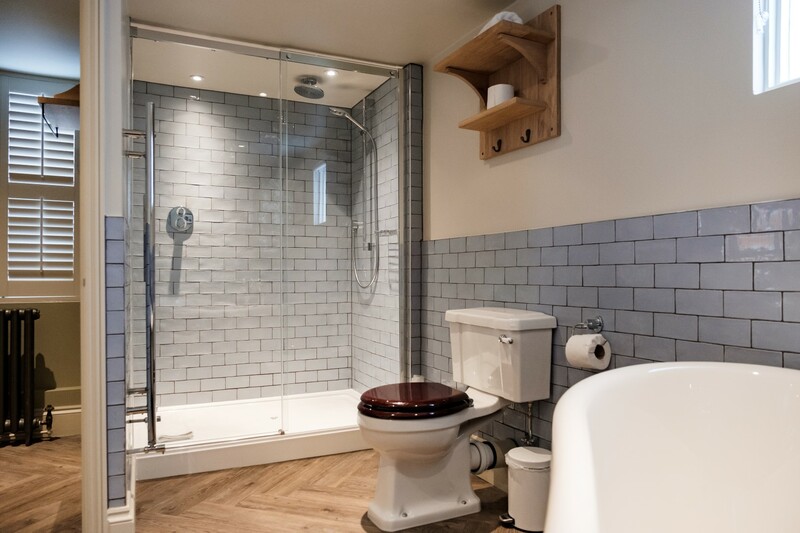 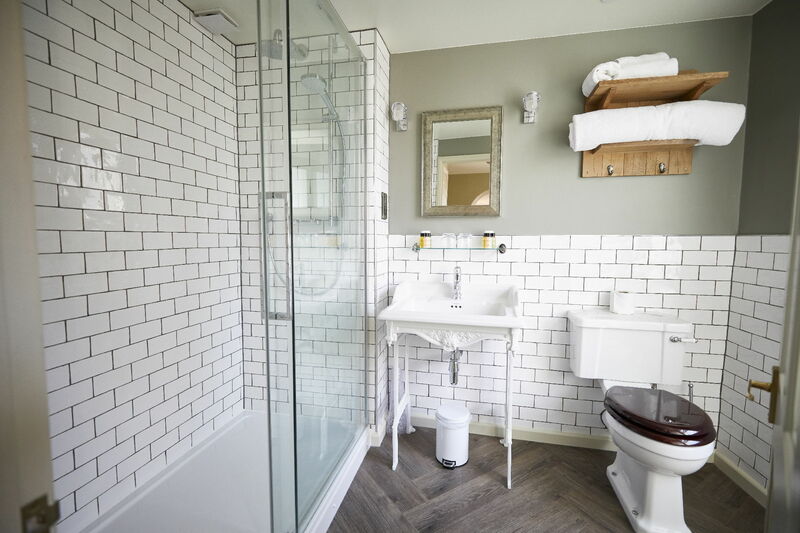 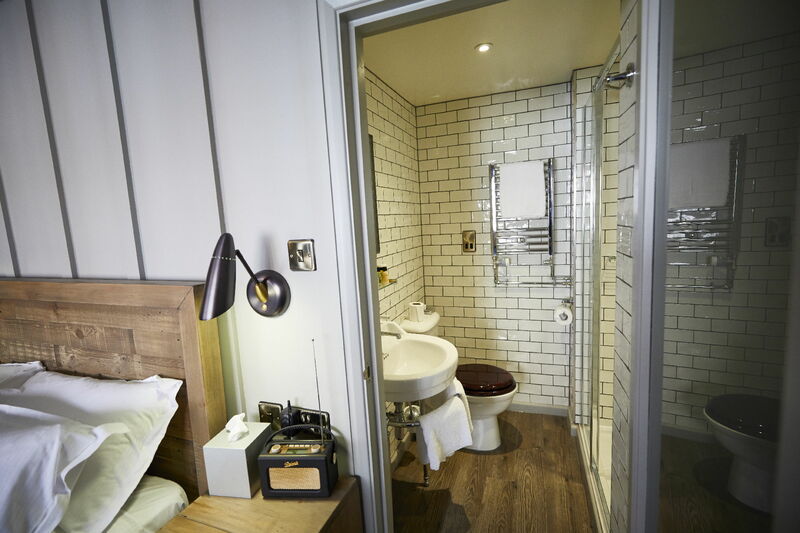 With an ensuite bathroom featuring a standalone shower, plus desk, flatscreen TV, fridge, hair dryer, iron and more, there's every chance you won't want to leave.